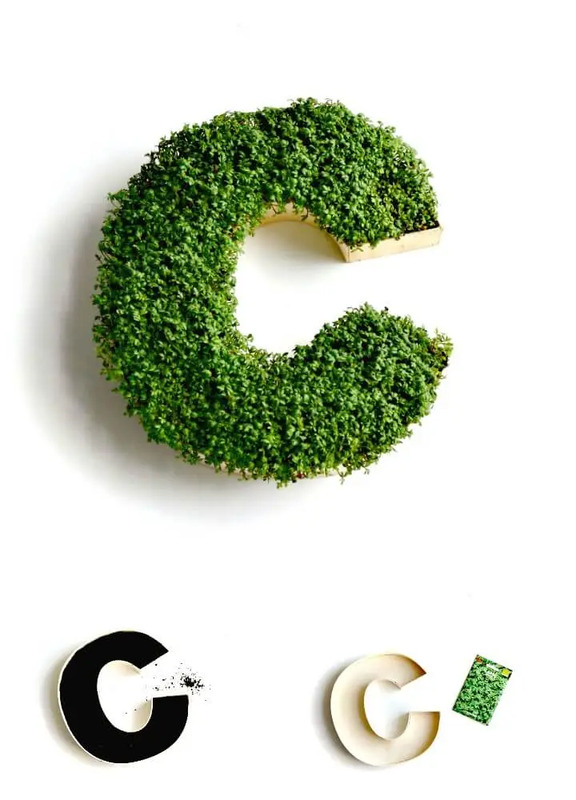 Open green environments go attractive to everyone as a man loves them by nature! 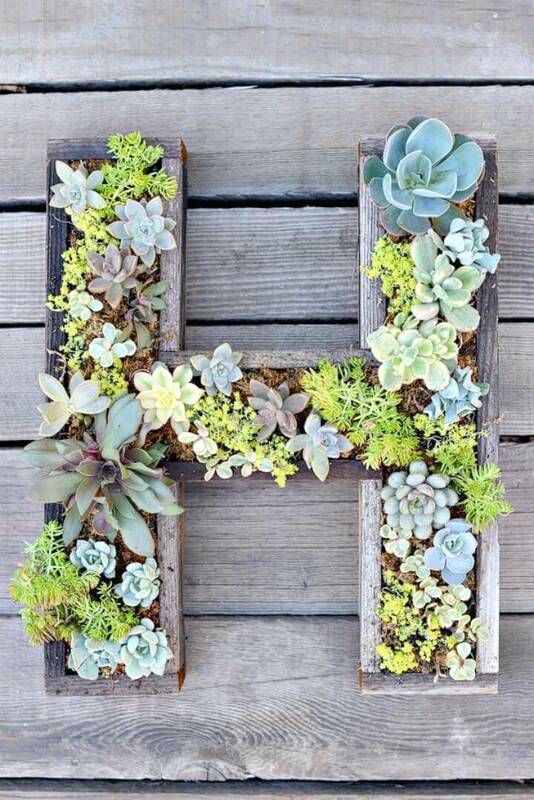 To have a cool garden space comes in everybody’s wish list and it is often considered a vital part of healthy and luxurious living style! 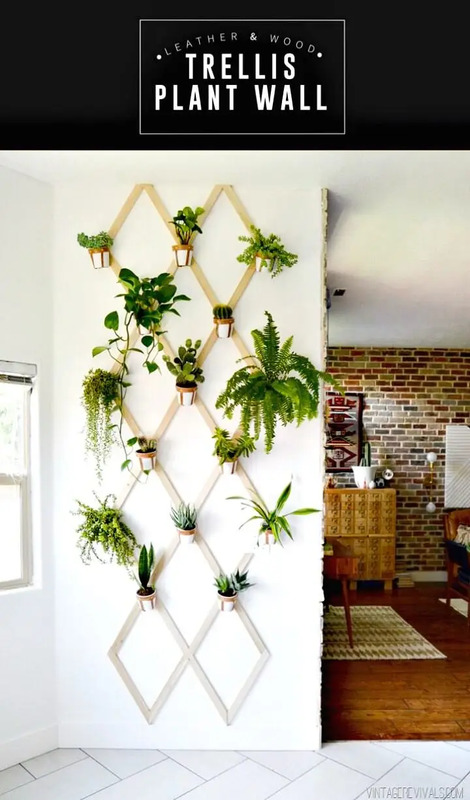 So, it would just be great if you are owing a beautiful garden and if you are not living in a spacious home or not having a garden then still no need to worry about. 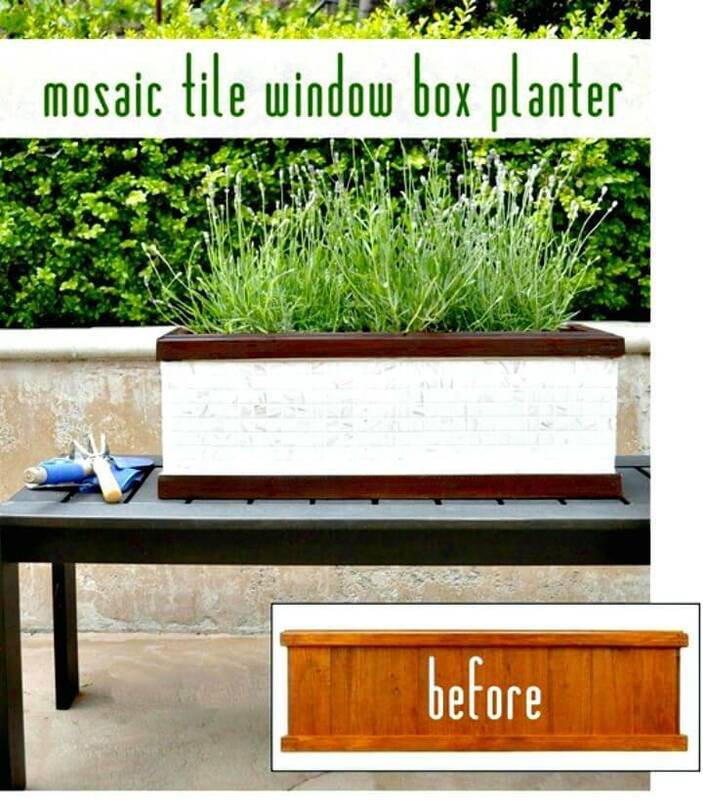 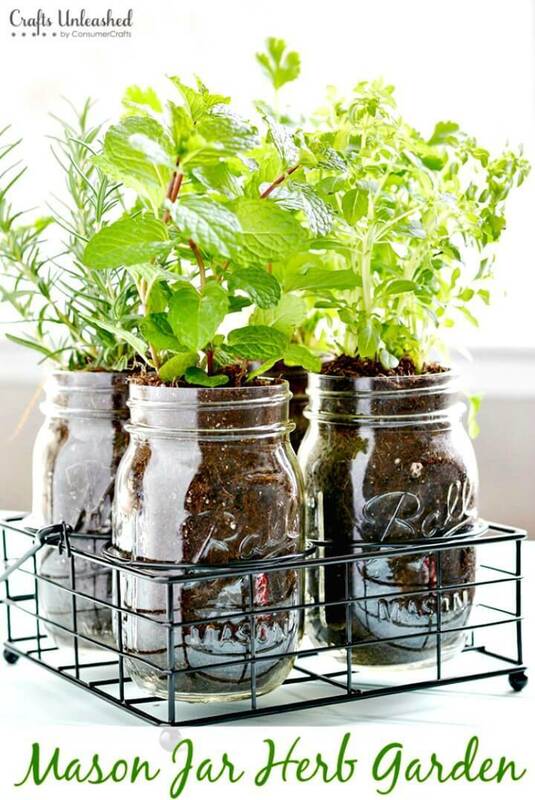 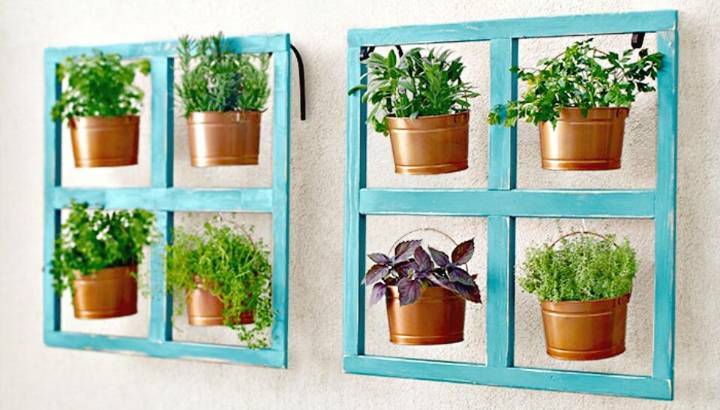 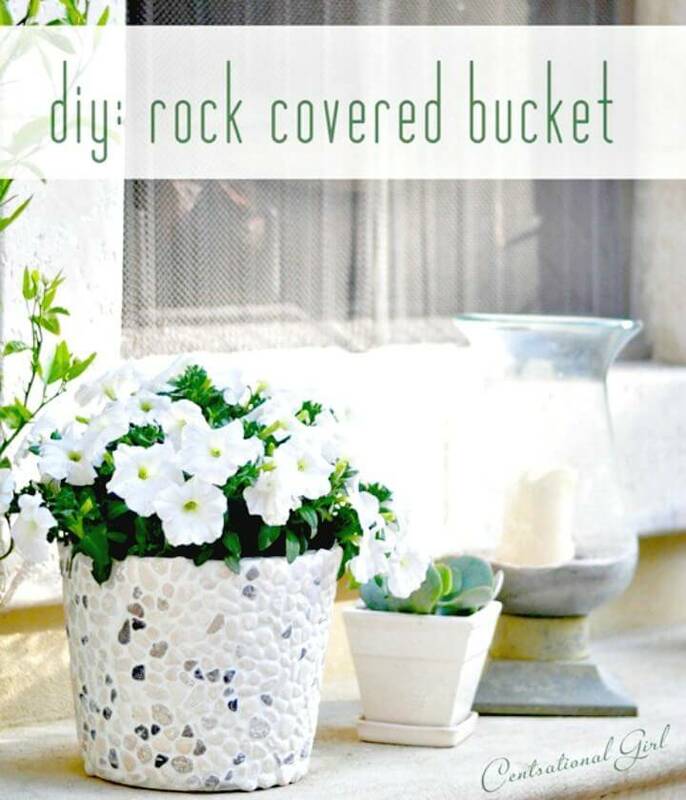 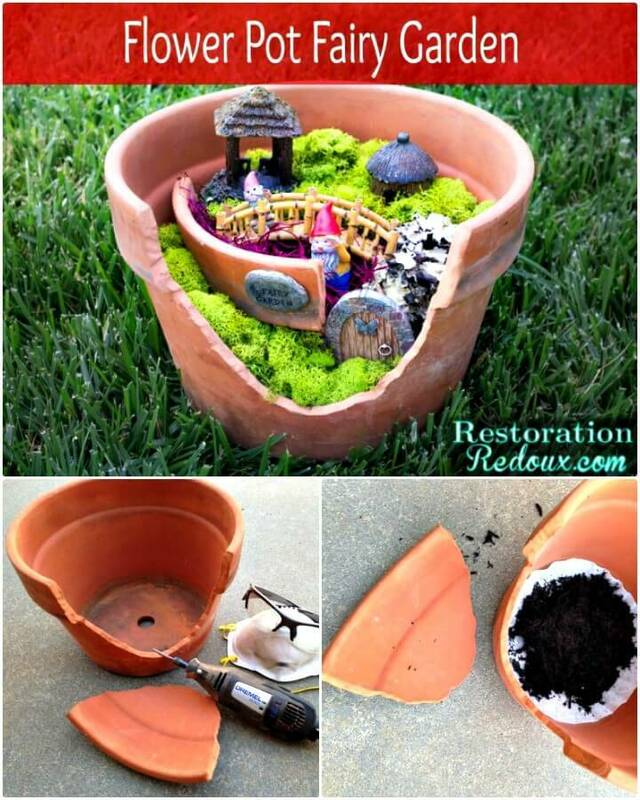 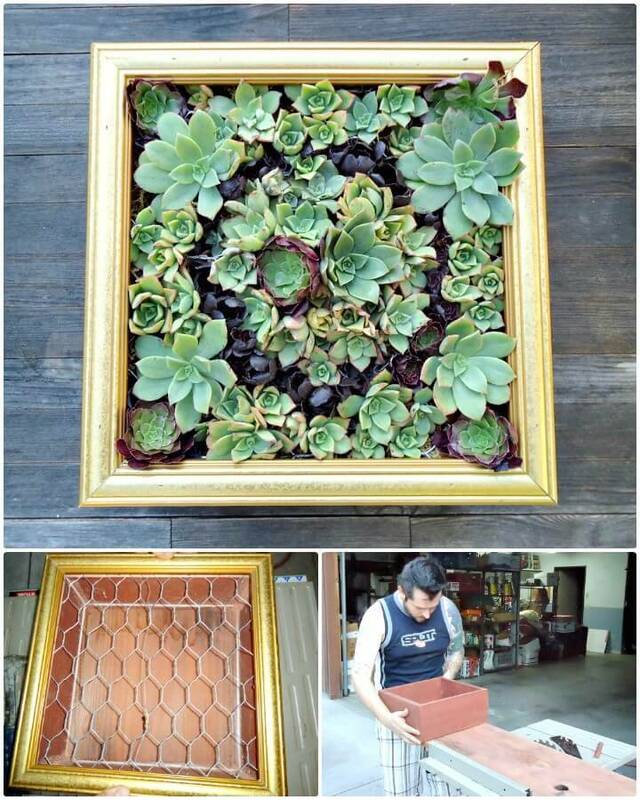 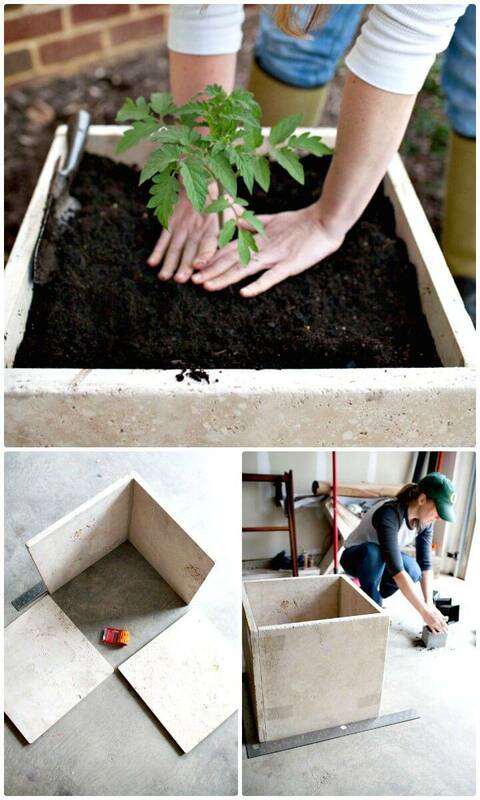 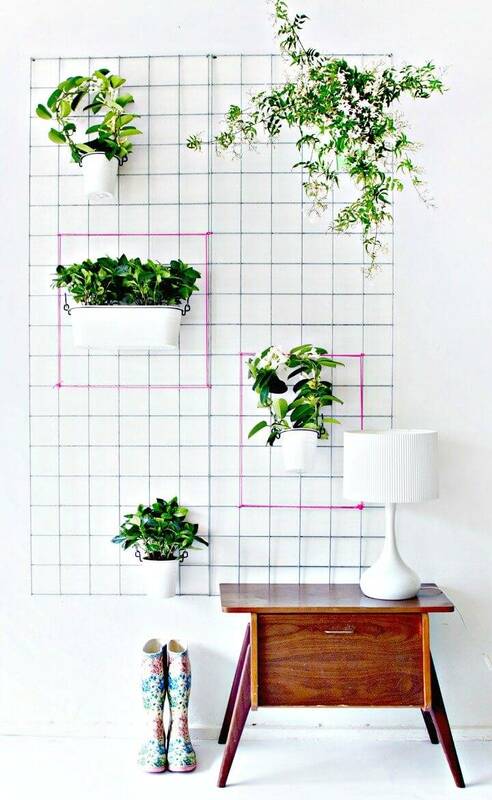 You can still install some miniature indoor or DIY outdoor gardens to feel the same! 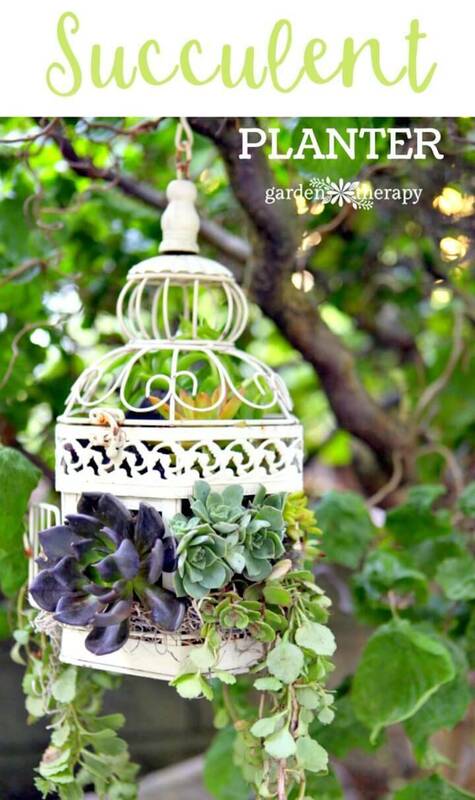 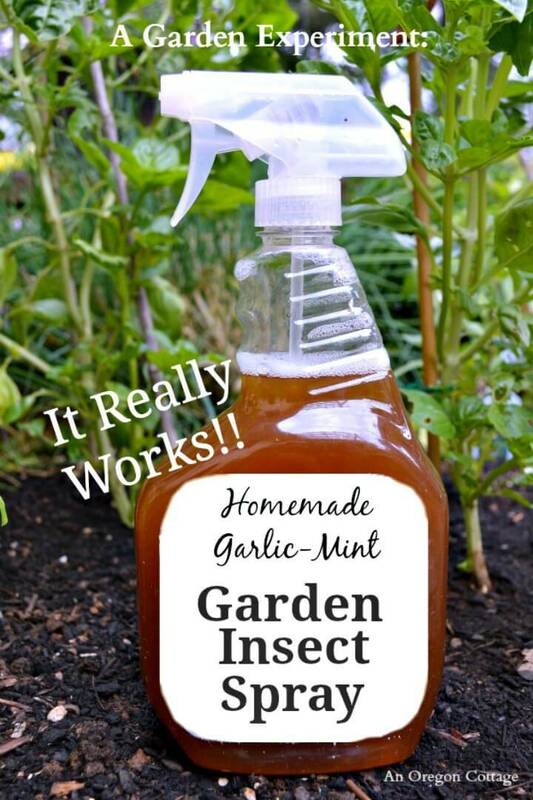 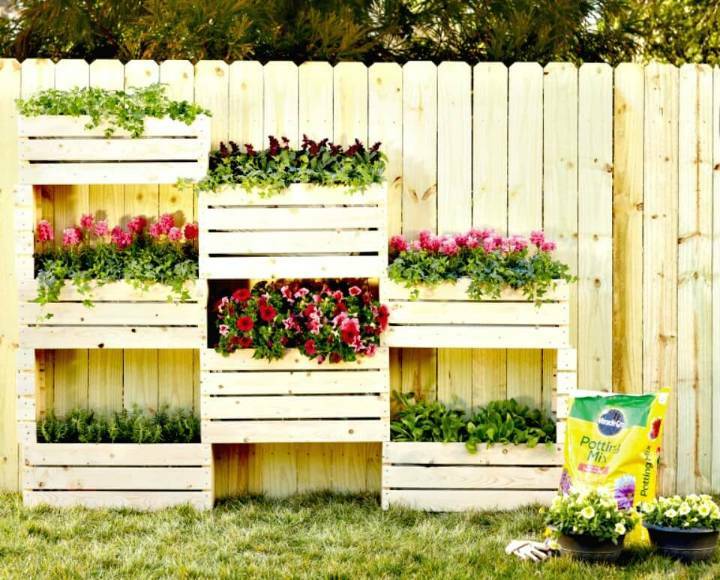 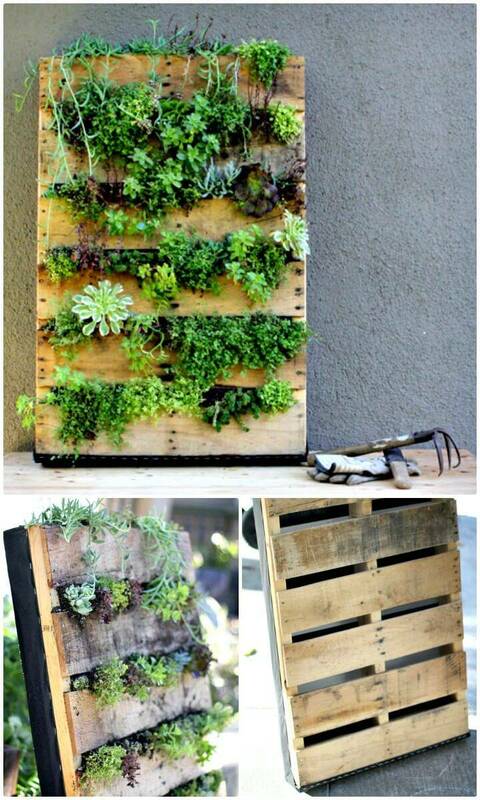 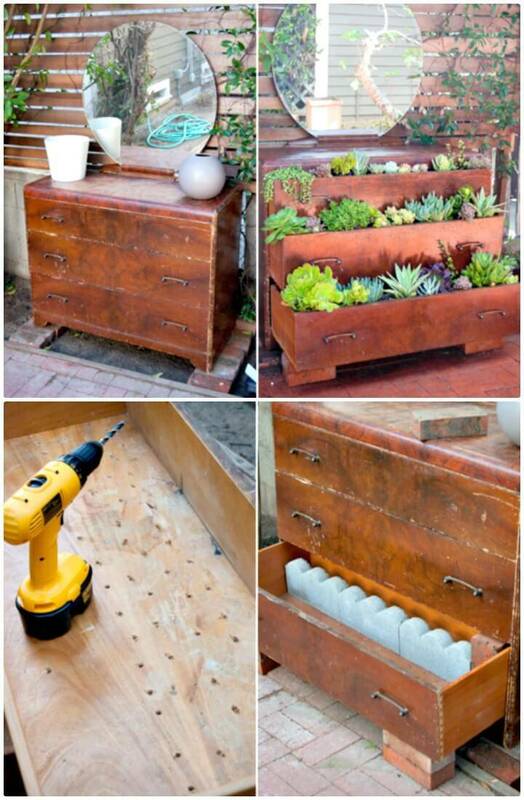 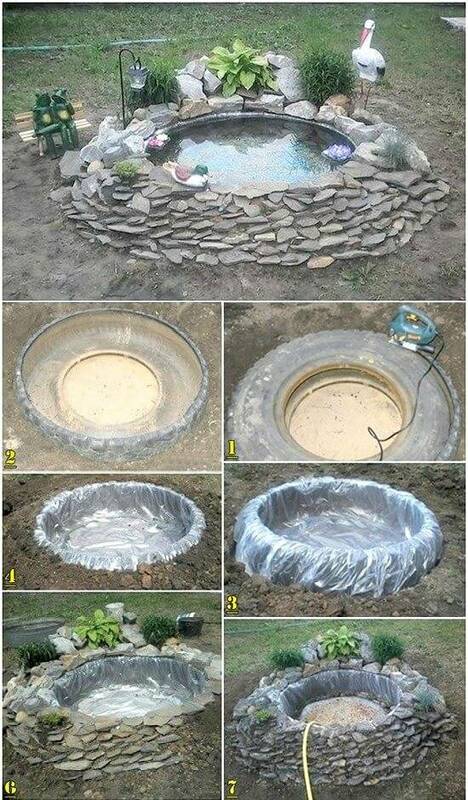 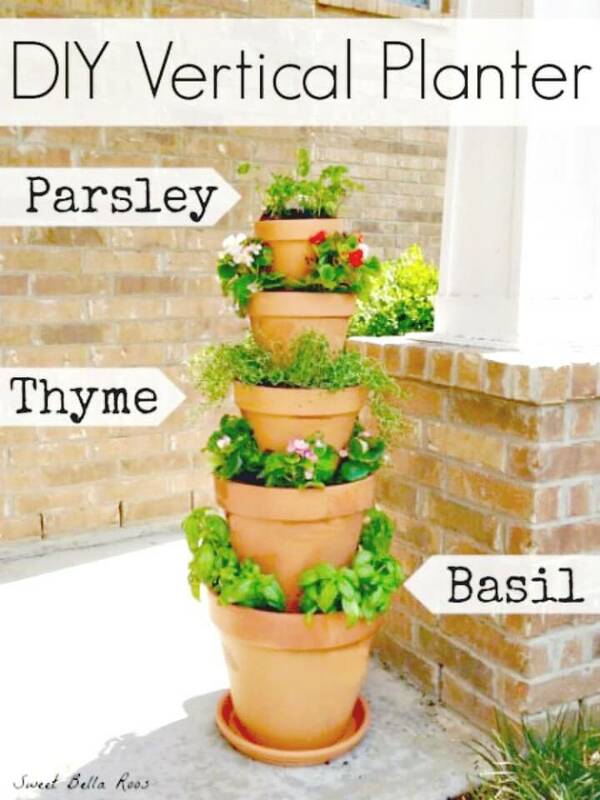 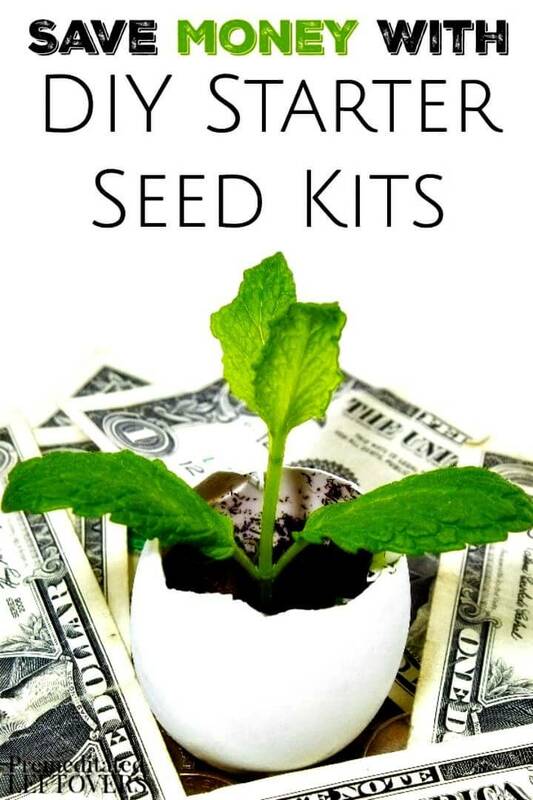 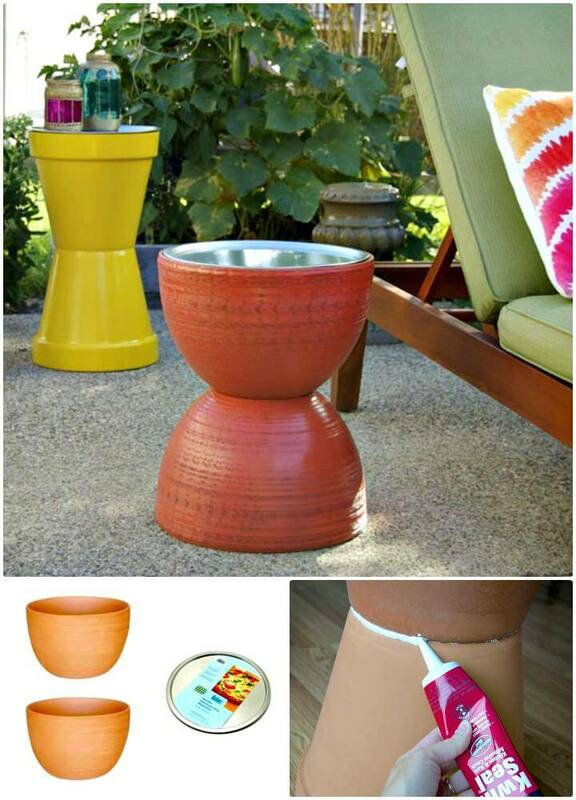 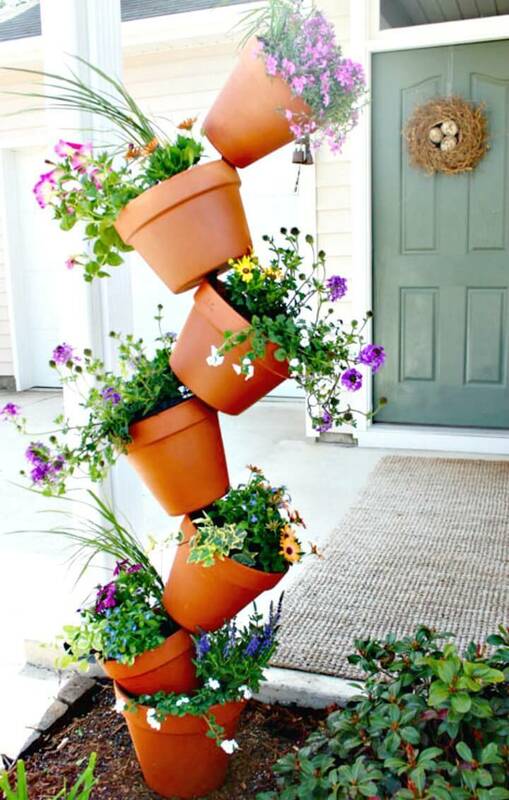 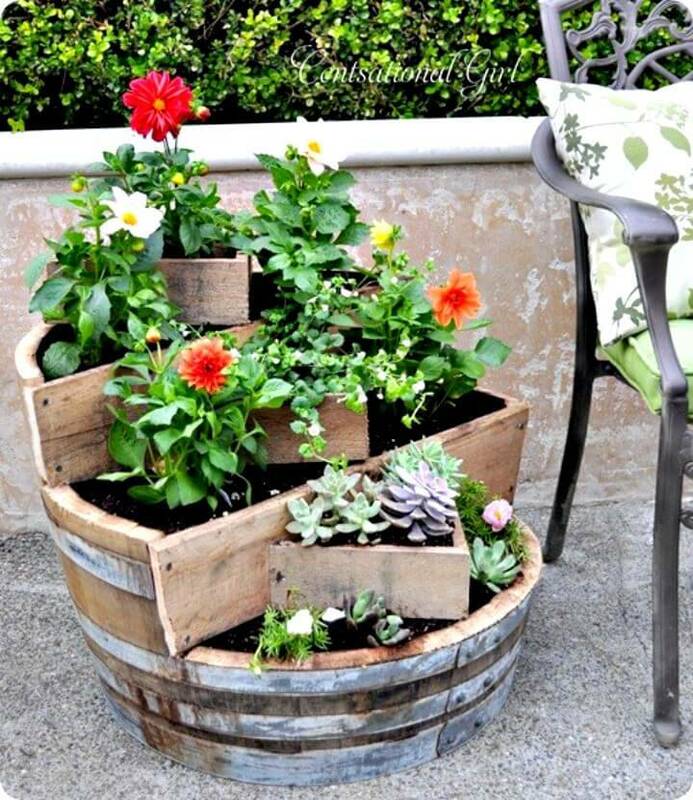 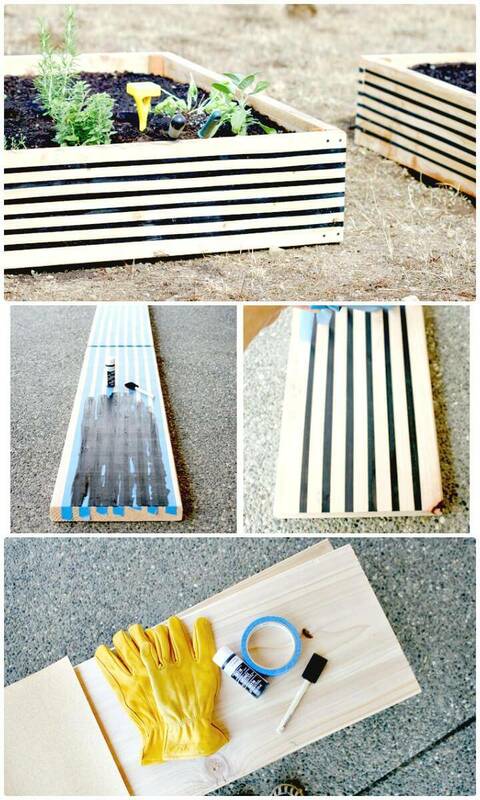 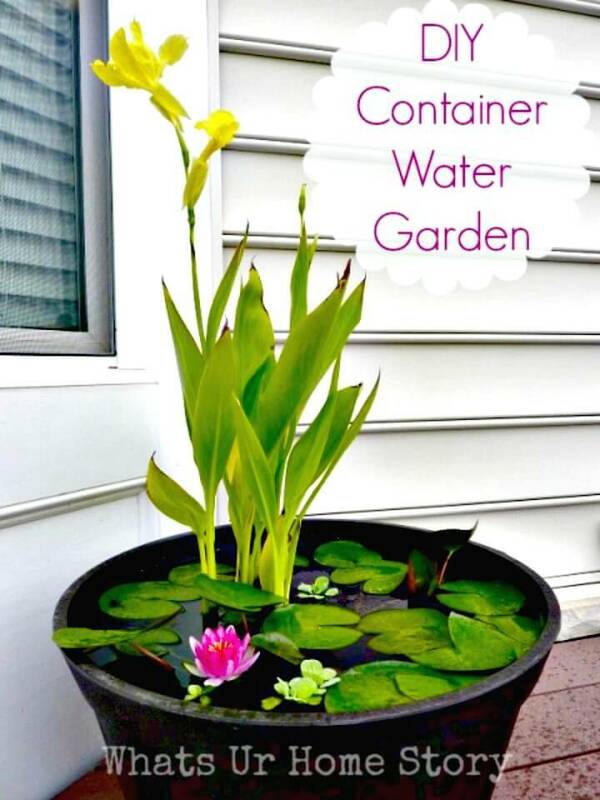 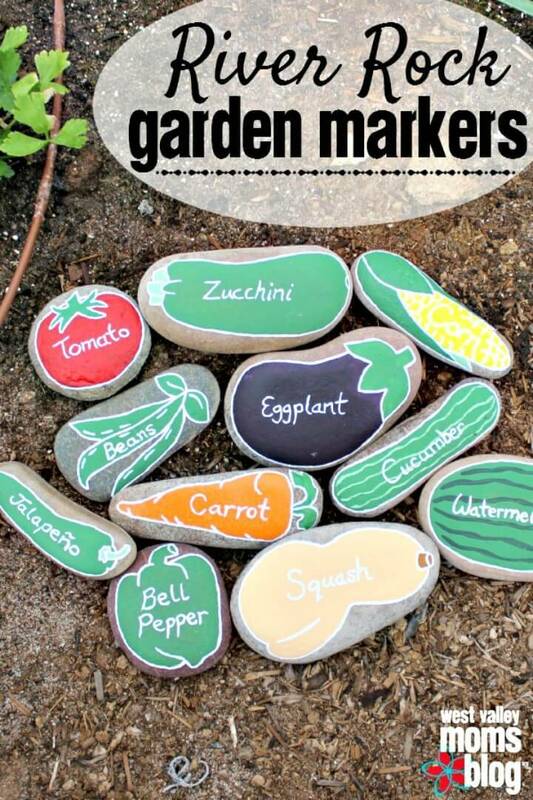 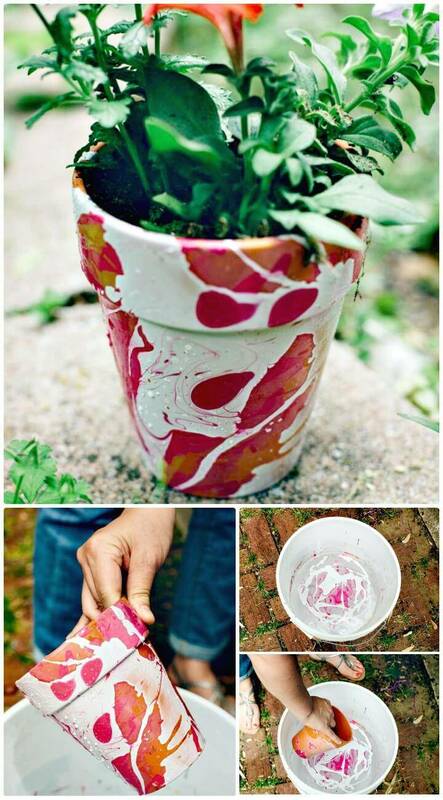 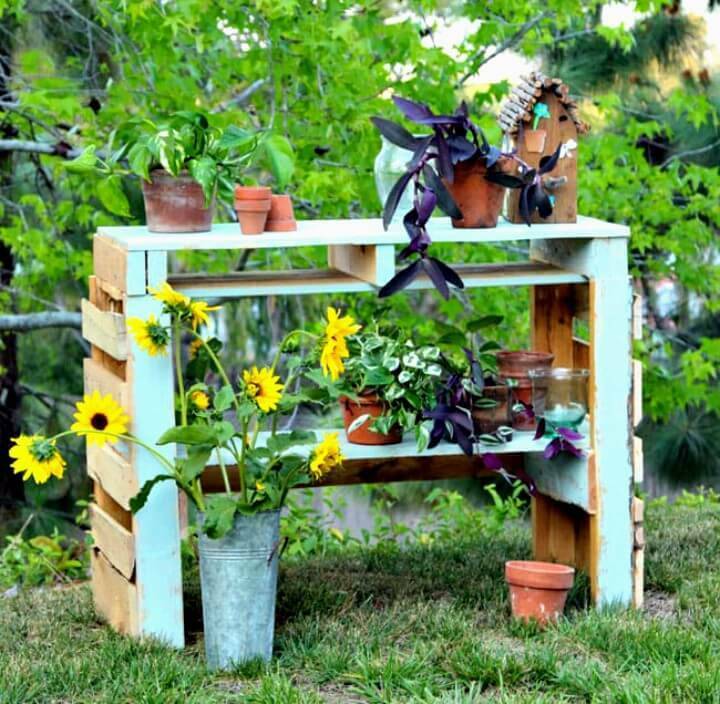 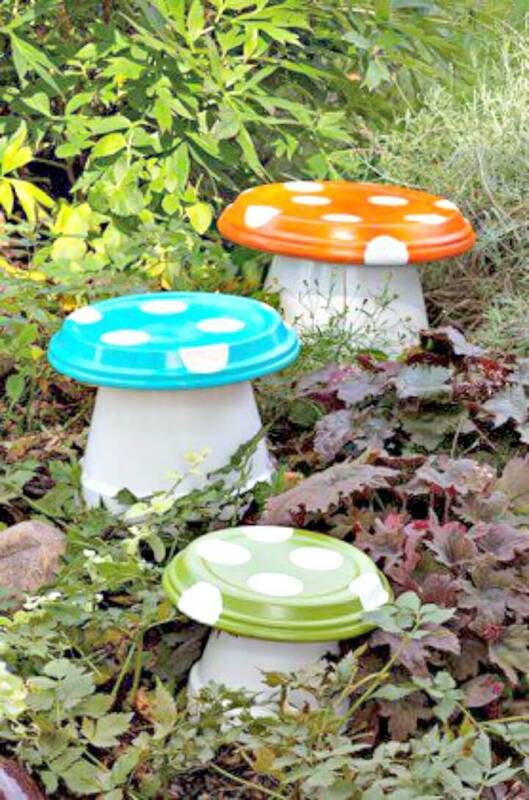 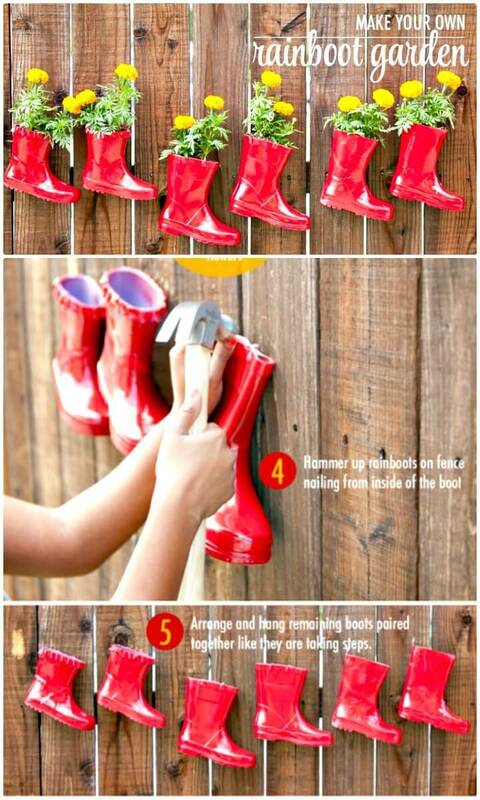 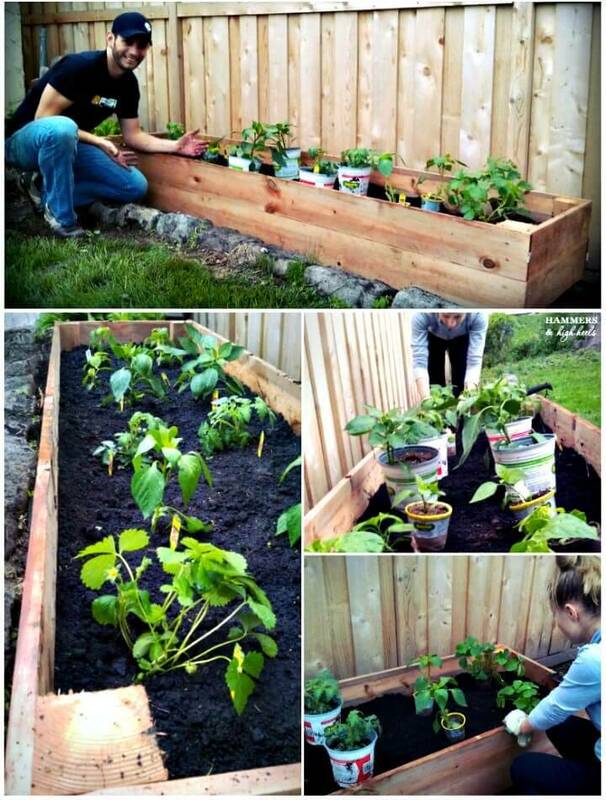 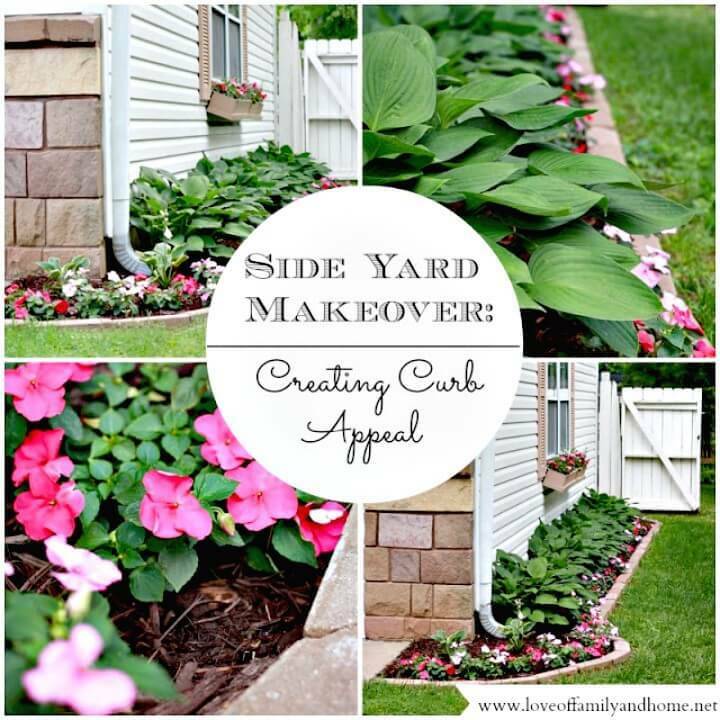 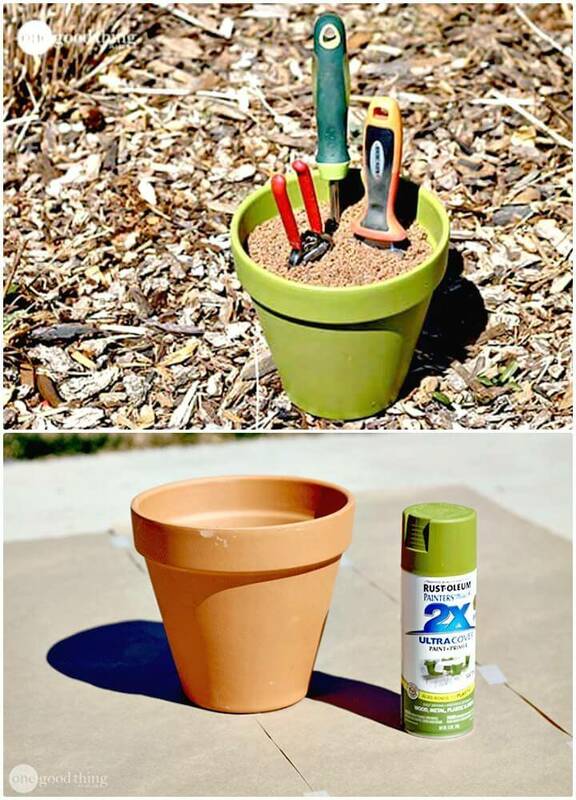 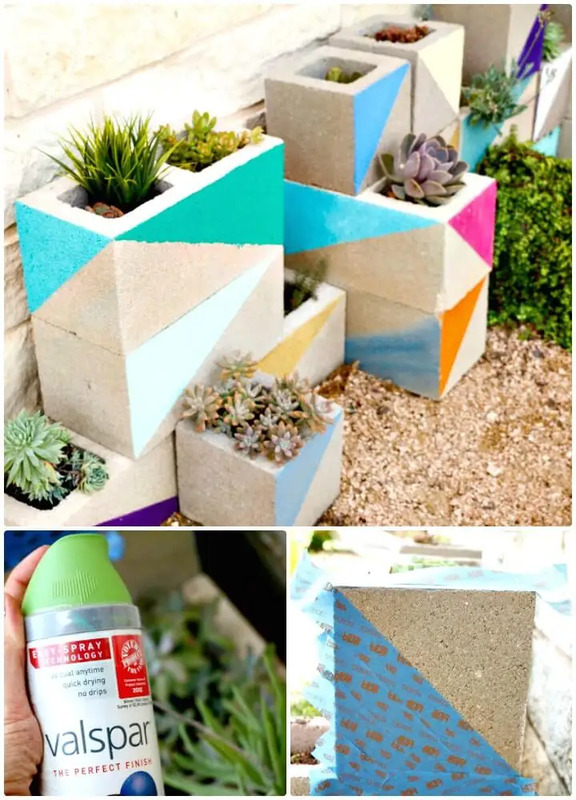 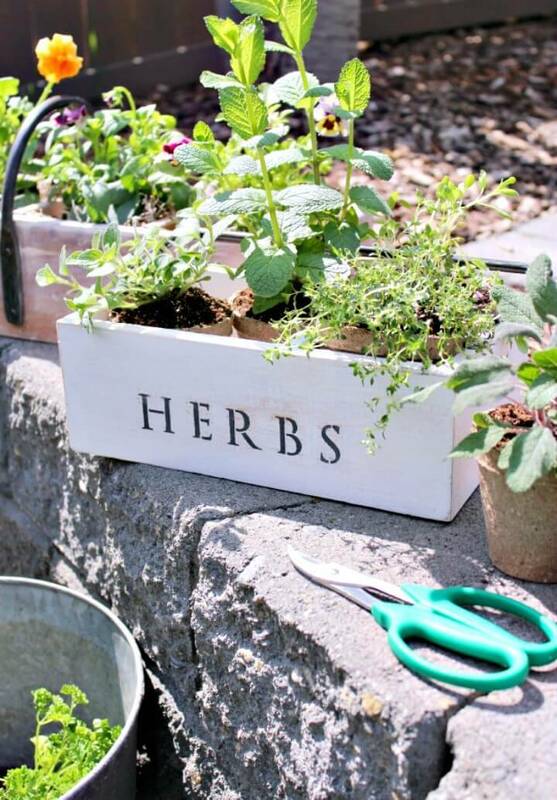 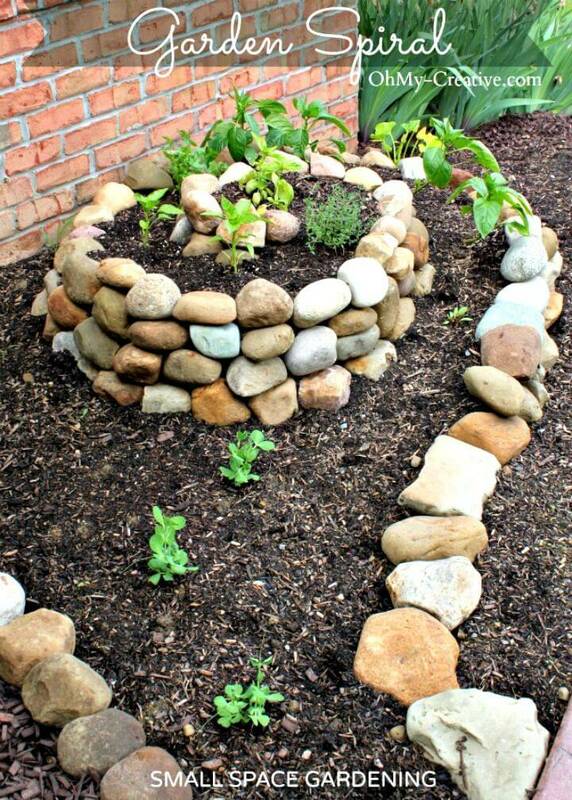 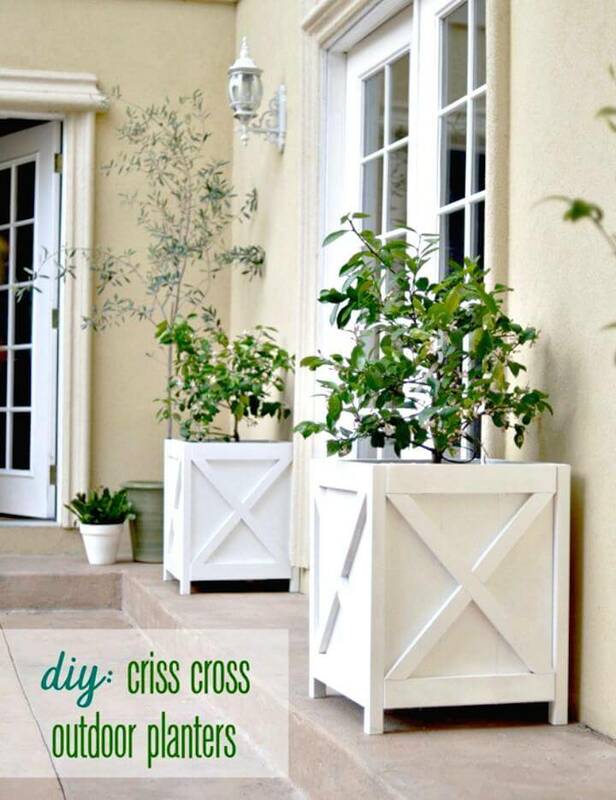 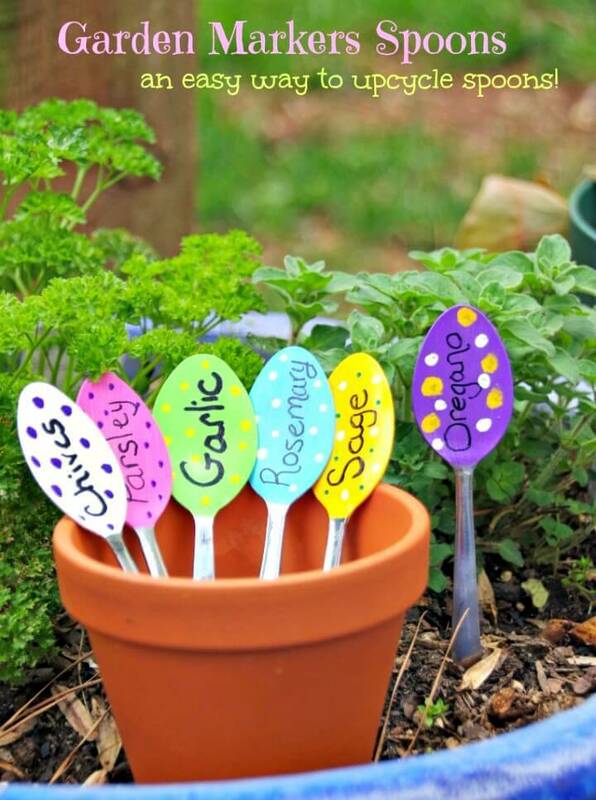 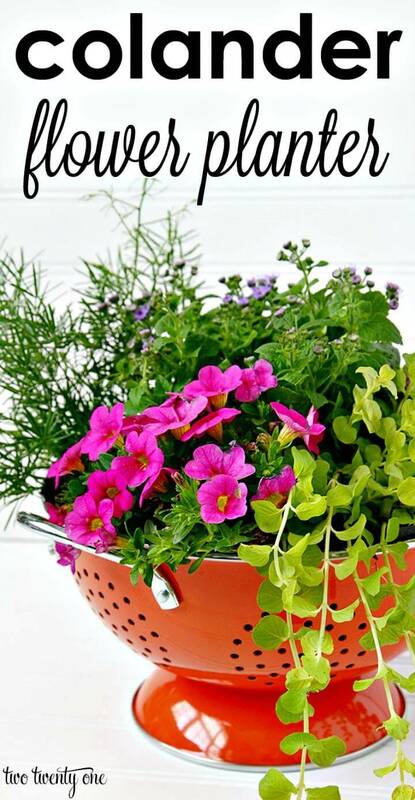 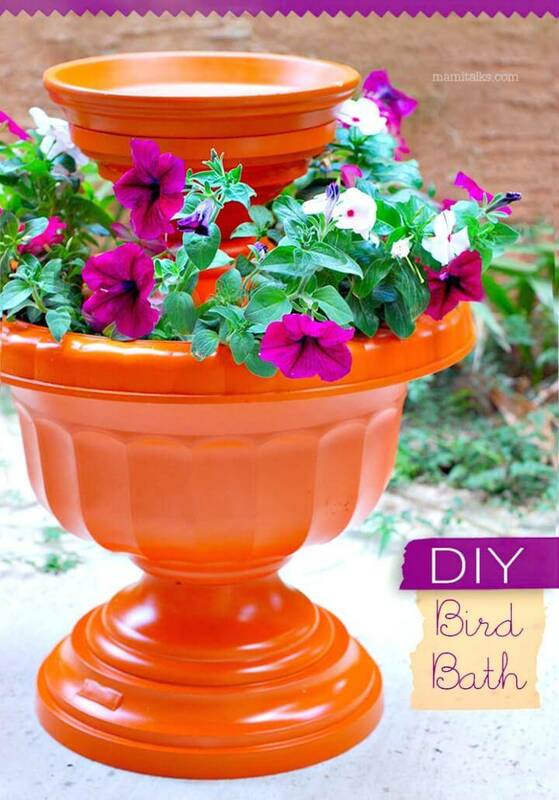 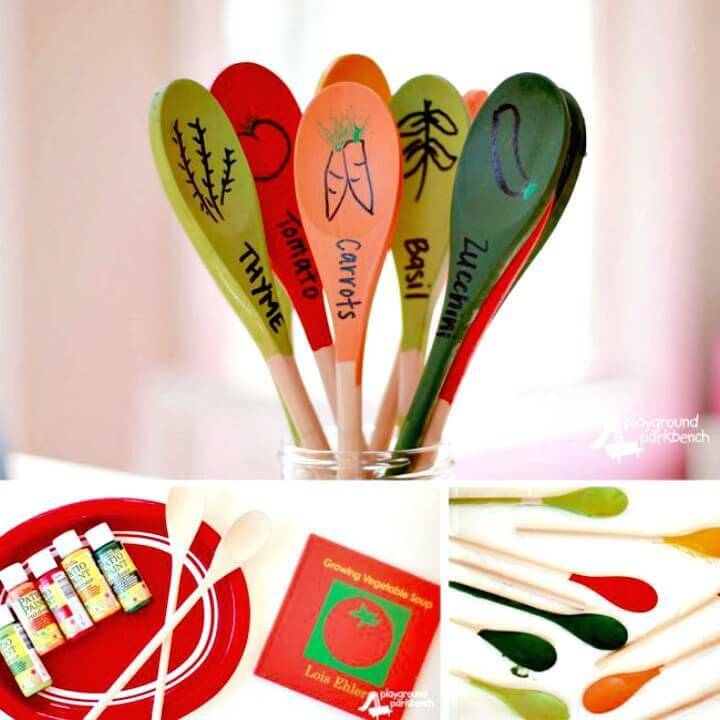 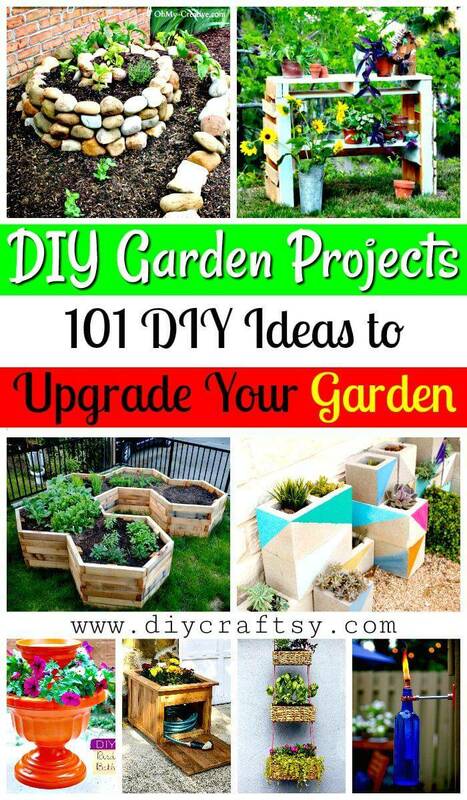 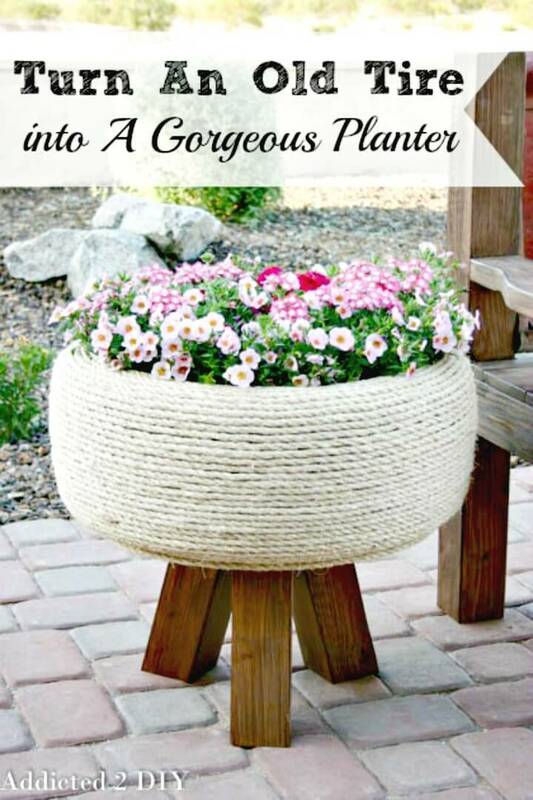 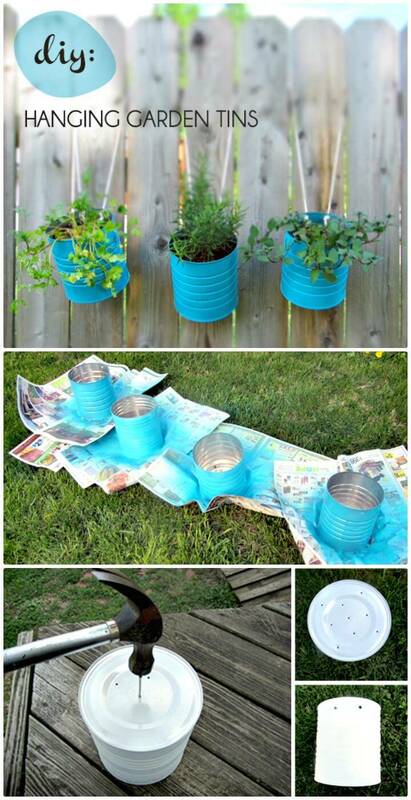 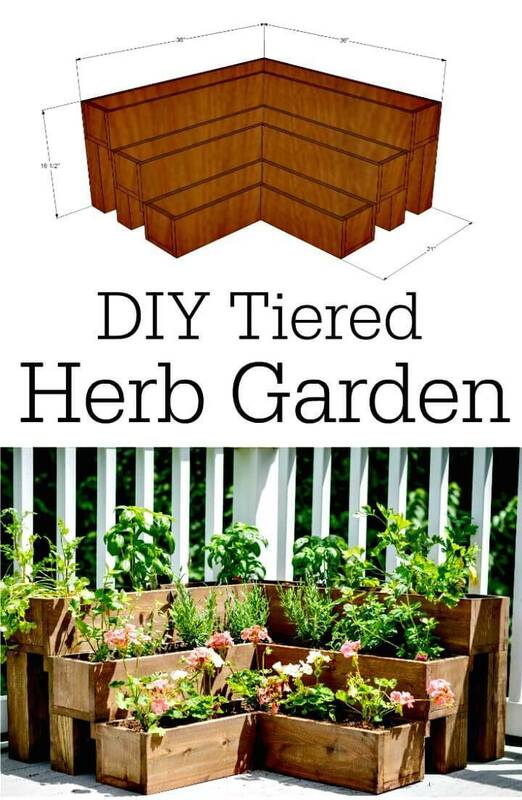 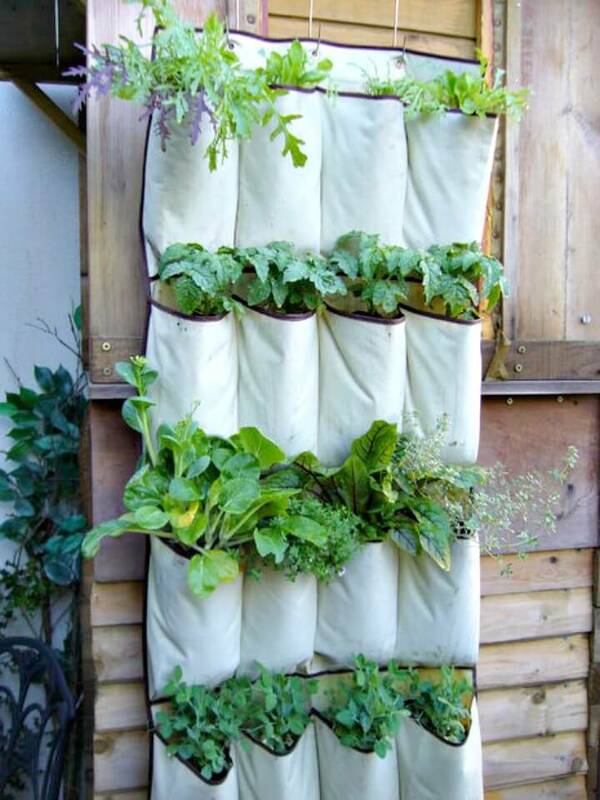 So, if you are willing to install a precious herb, flower or vegetable garden or just intending to spruce up a garden space you already have, these 101 DIY garden projects and Ideas will help you out in both cases and are insanely creative! 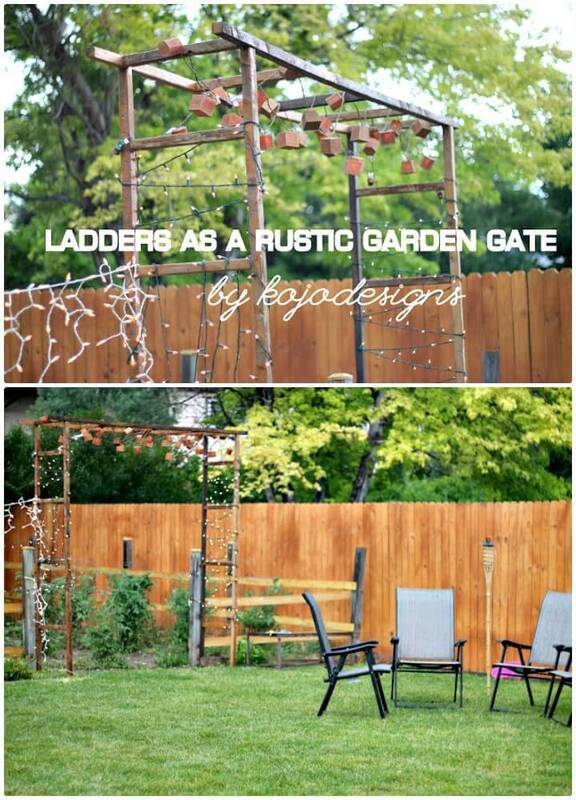 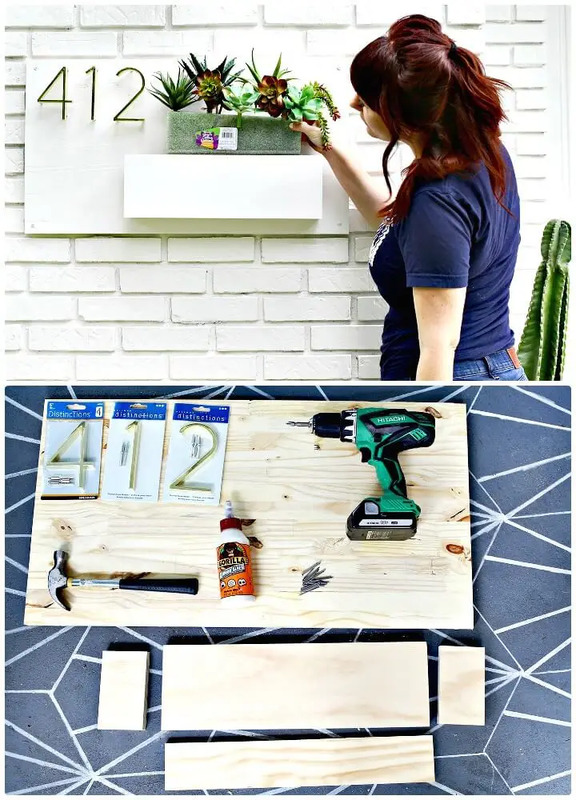 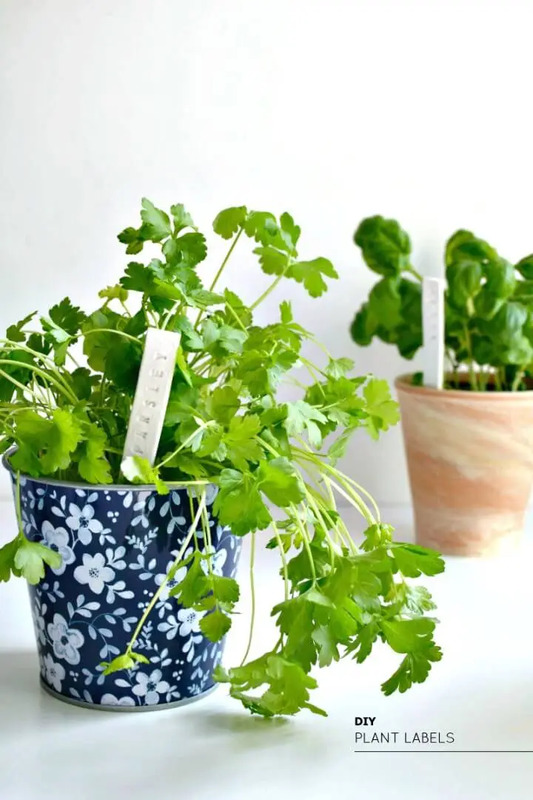 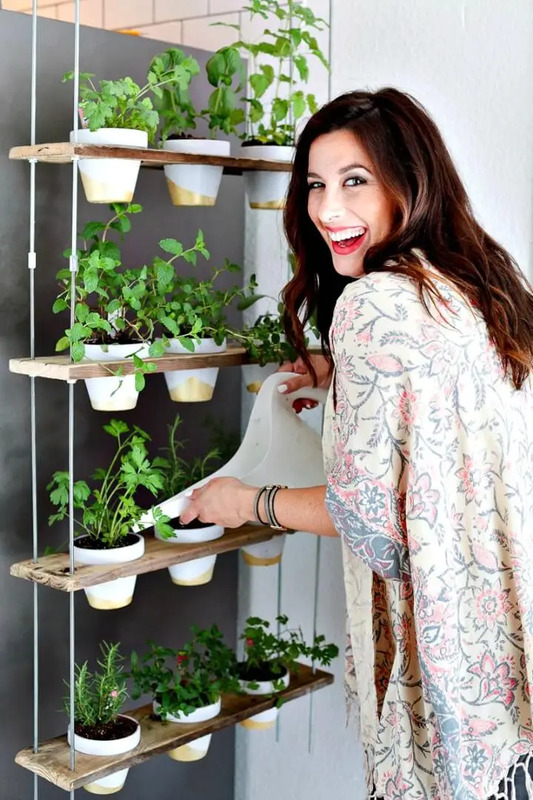 All these DIY garden ideas will give you comprehensive guides and tutorial about how to decorate a garden or how to install a custom hanging or vertical garden of your own at home! 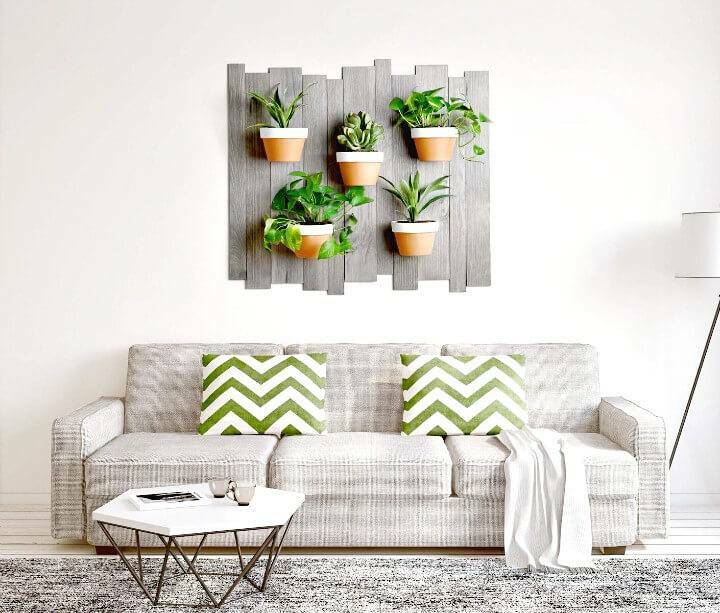 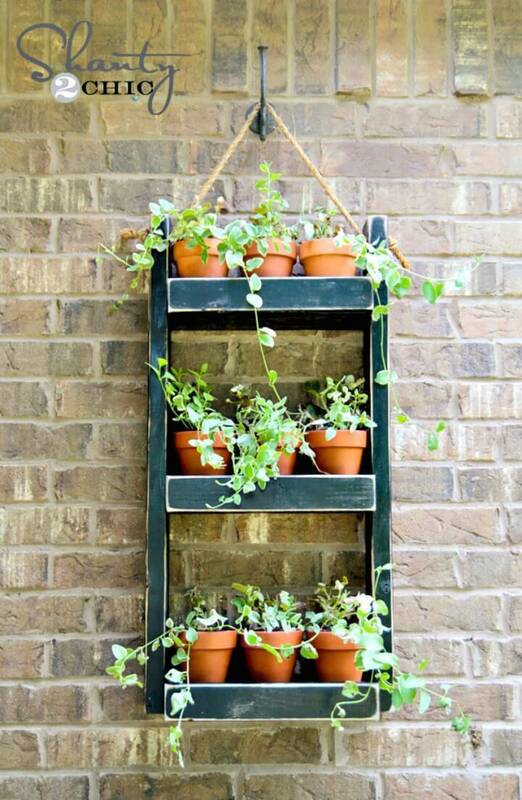 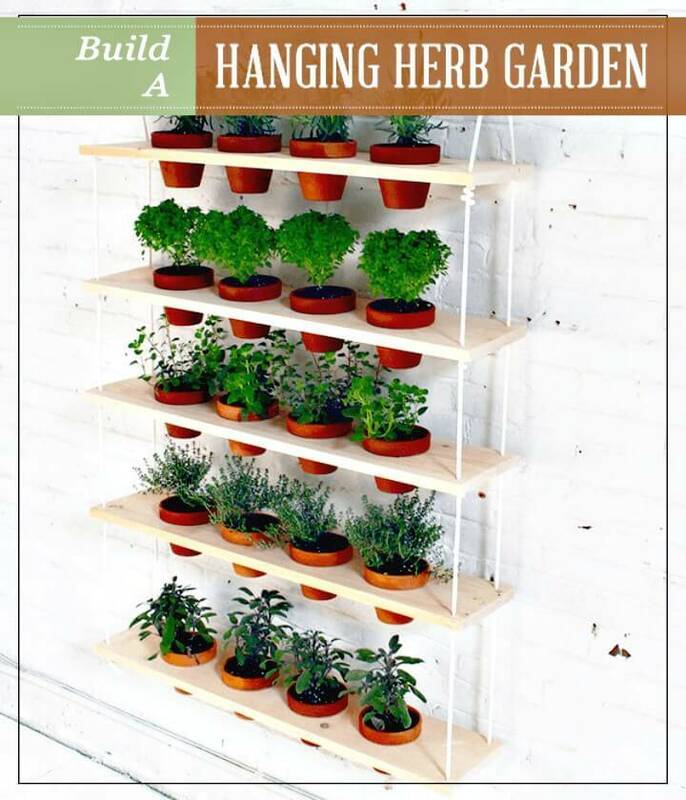 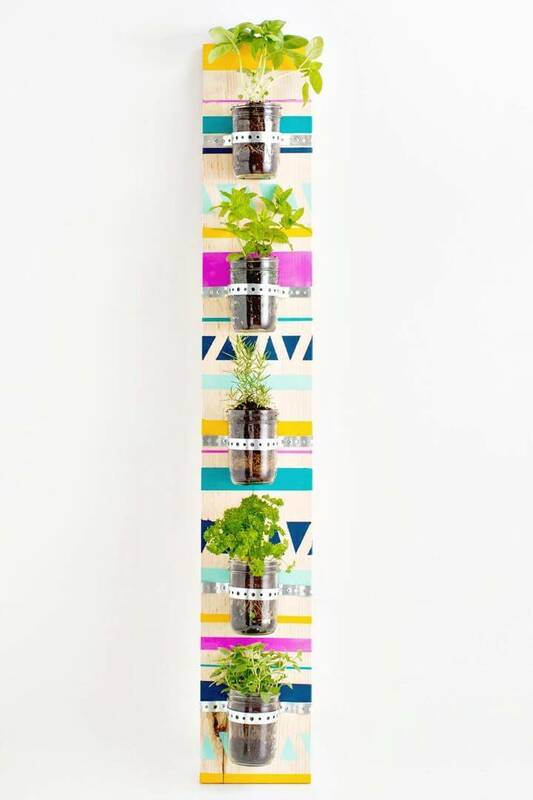 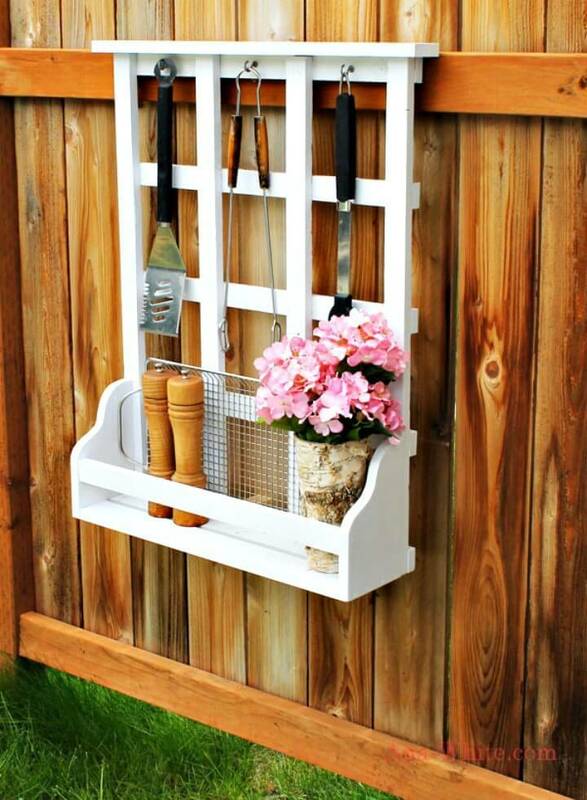 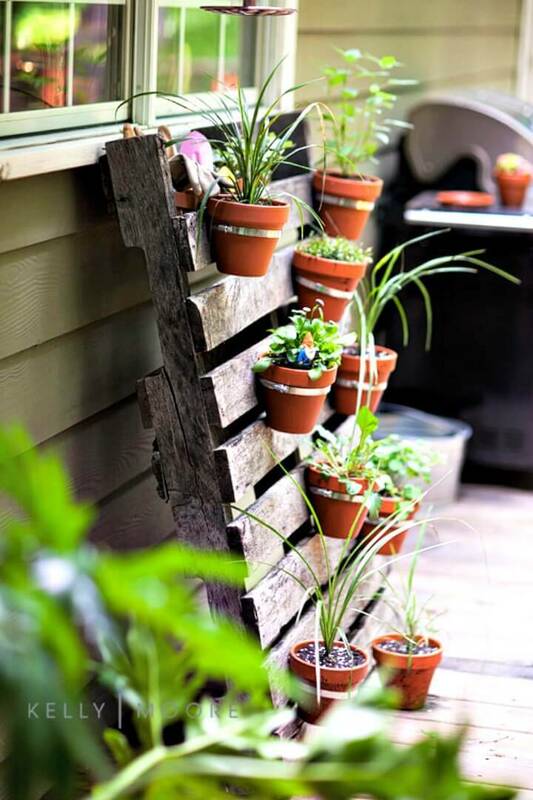 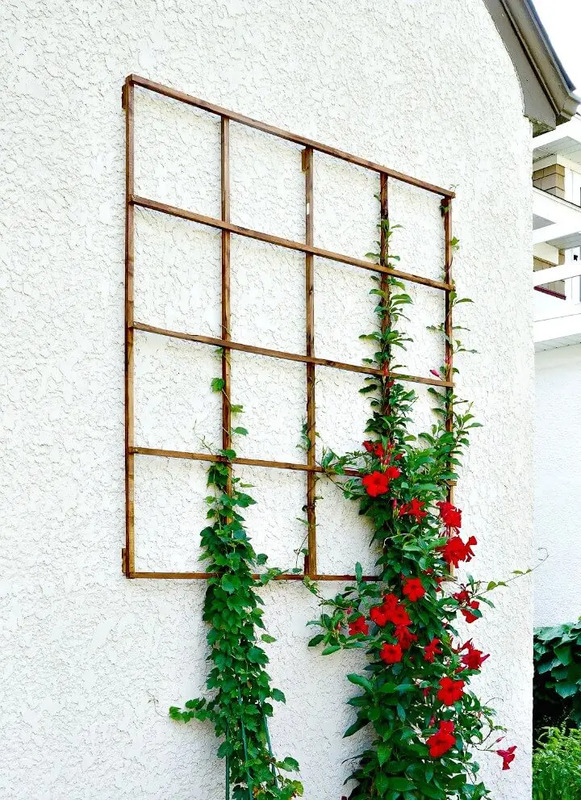 Go handmade with durable looking wooden planks and threaded metal rods and install vertical herb gardens that can be installed to both indoor and outdoor! 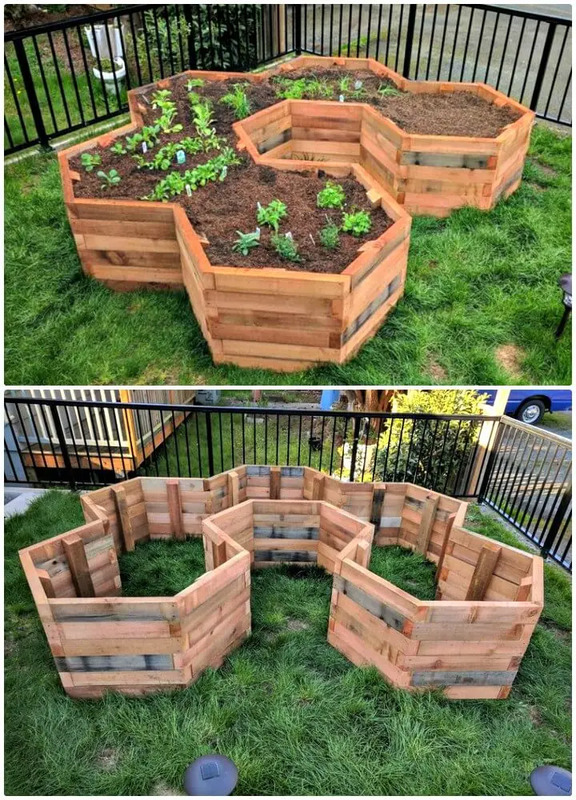 Gain an ultimate precious look of your garden by installing geometrical wooden raised beds in artistic designs, a great example here are the hexagonal raised flower beds! 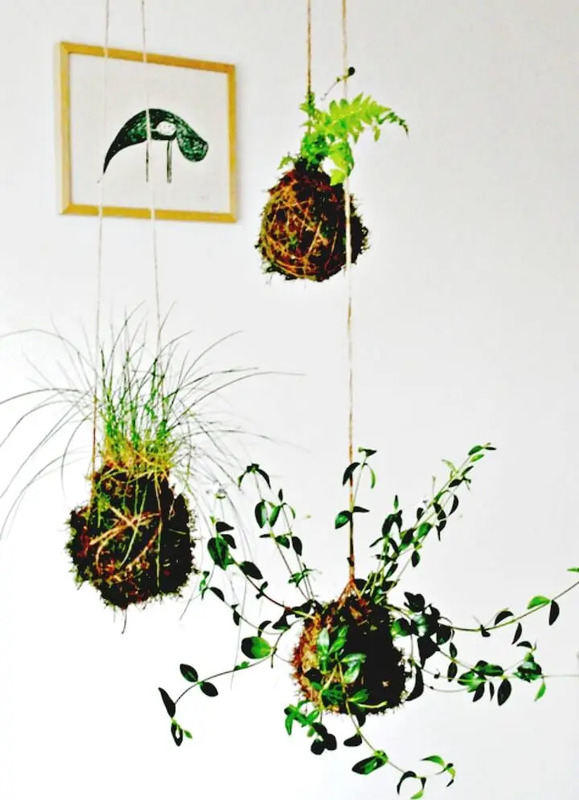 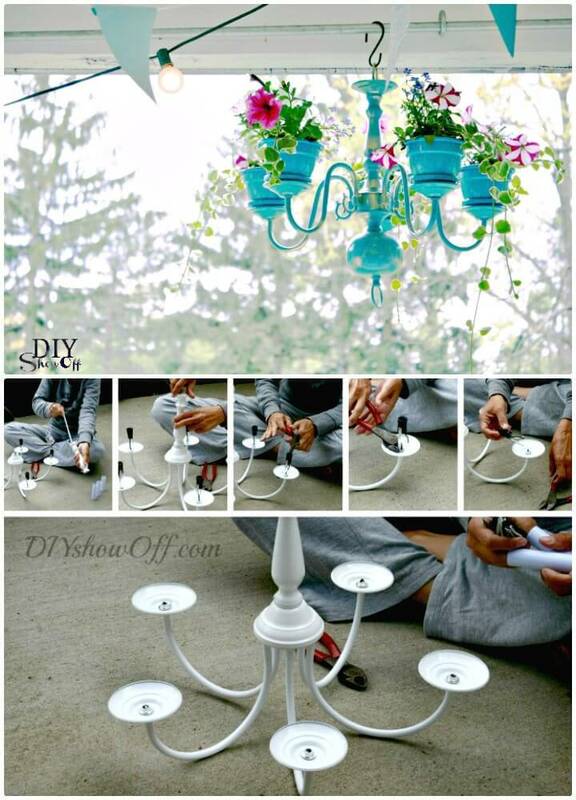 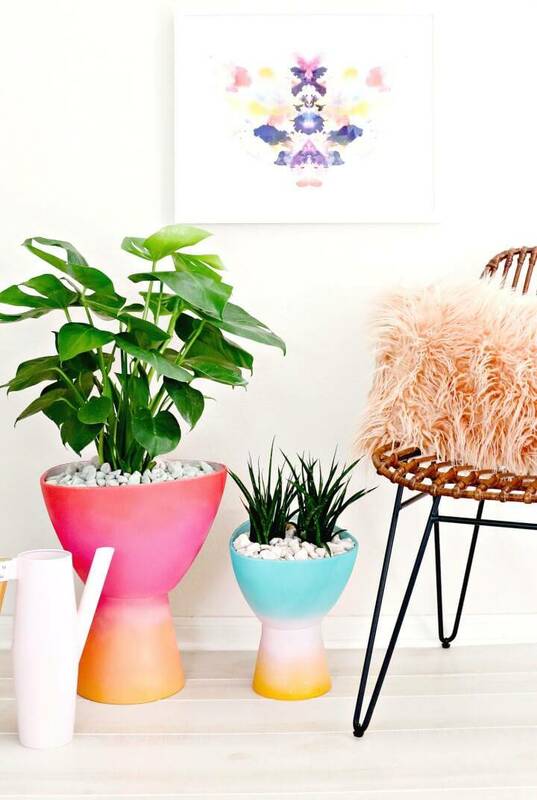 Next, also make the outlandish garden chandeliers using painted flower pot and assorted beads and also bring an excellent garden vibe to your interior spaces by installing the geometrical wall herb gardens that will come with leather holdings or pockets! 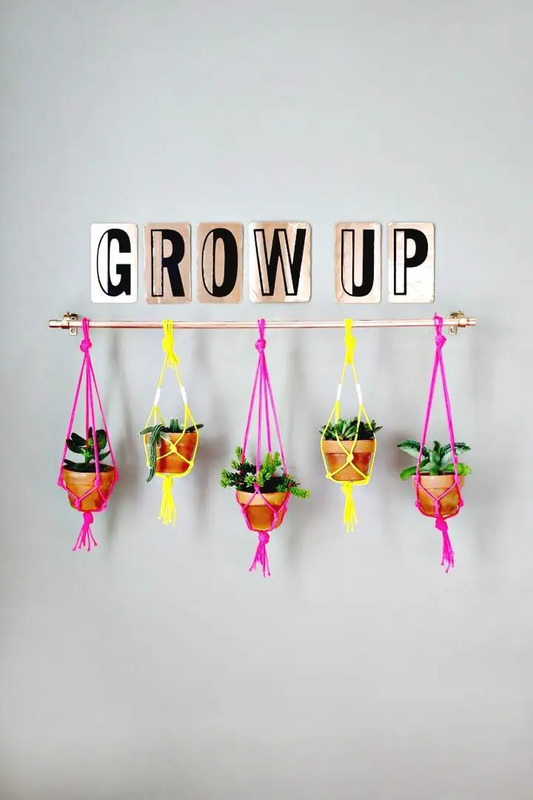 Next create also a garden like atmosphere to your indoor areas by using macrame hanging succulent gardens that can simply hang on a curtain copper rod! 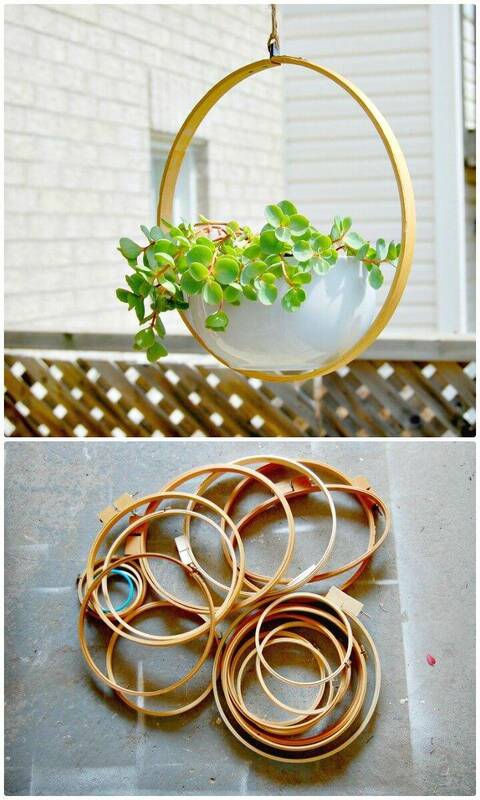 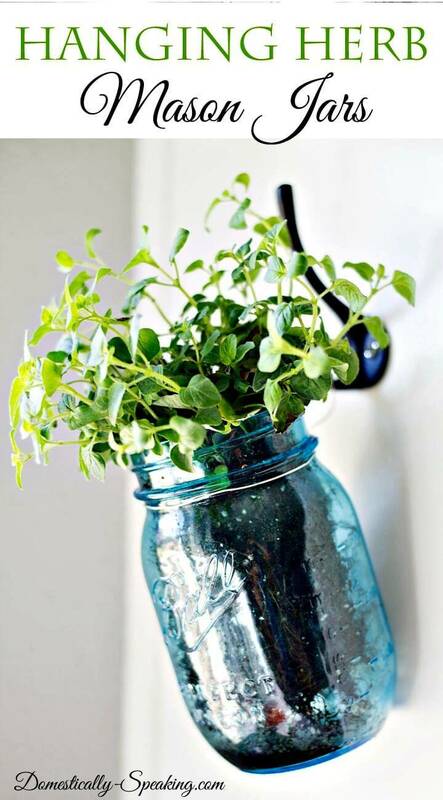 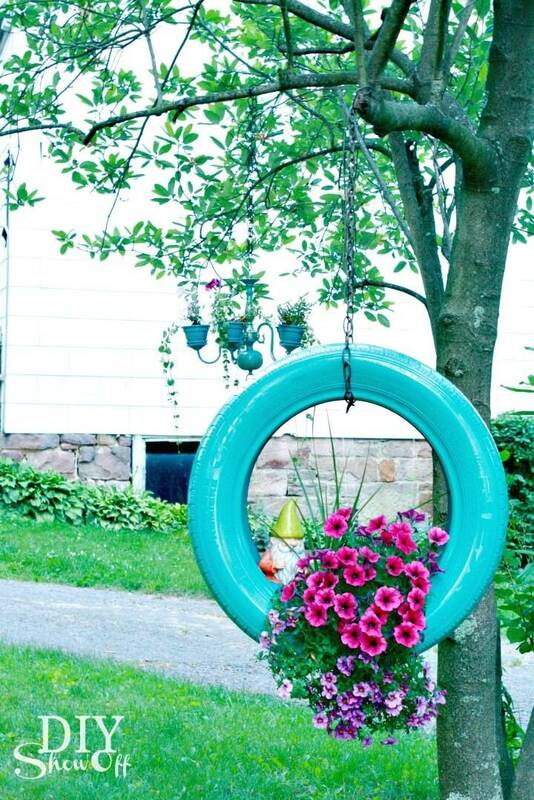 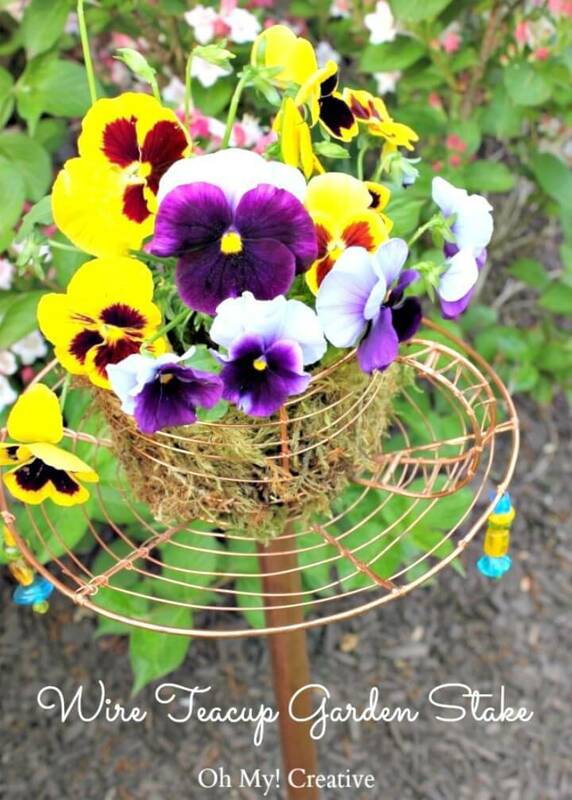 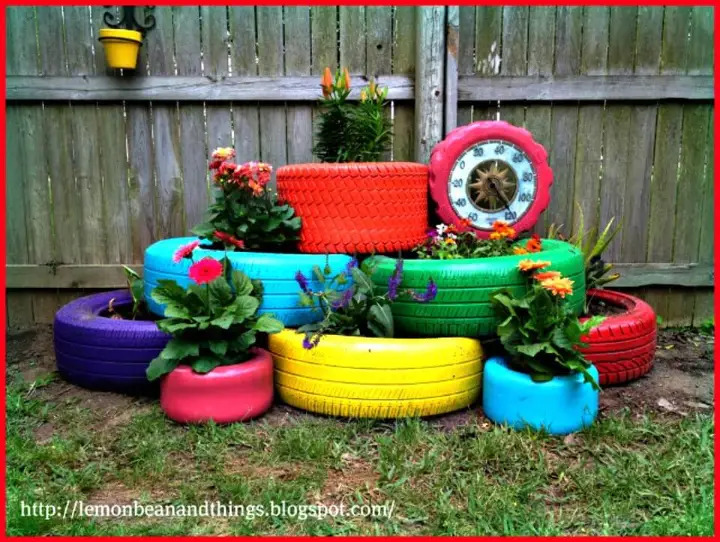 Moreover, repurpose also the old tires to make adorable hanging decors for your garden just check out an eye-catching hanging tire planter that has been painted in aqua blue! 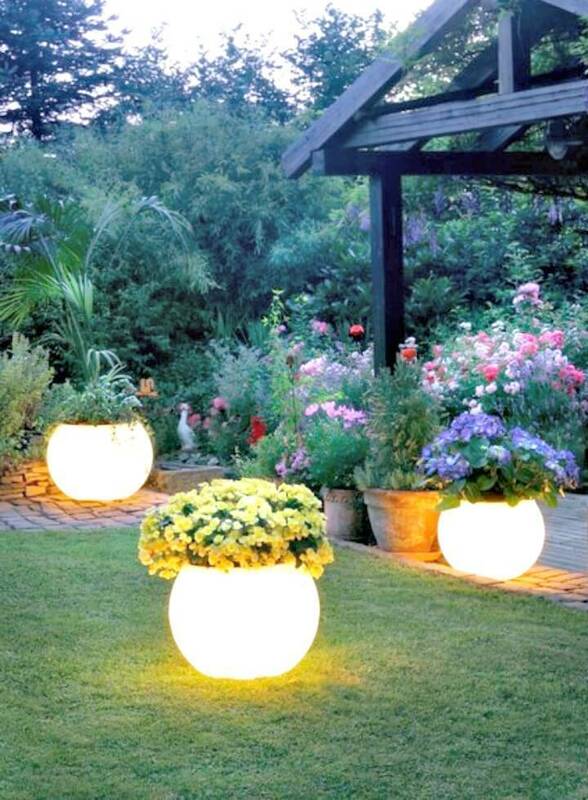 Install amusing handmade lights and light systems to your garden to make your garden look beautiful at night! 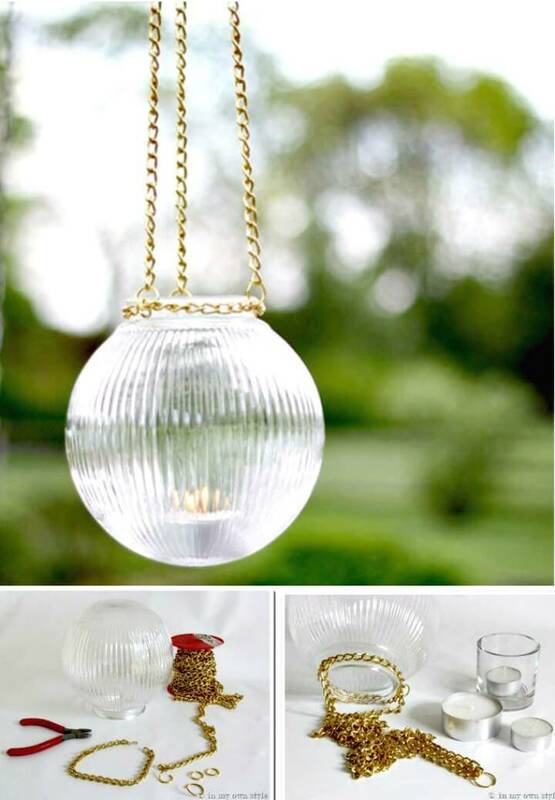 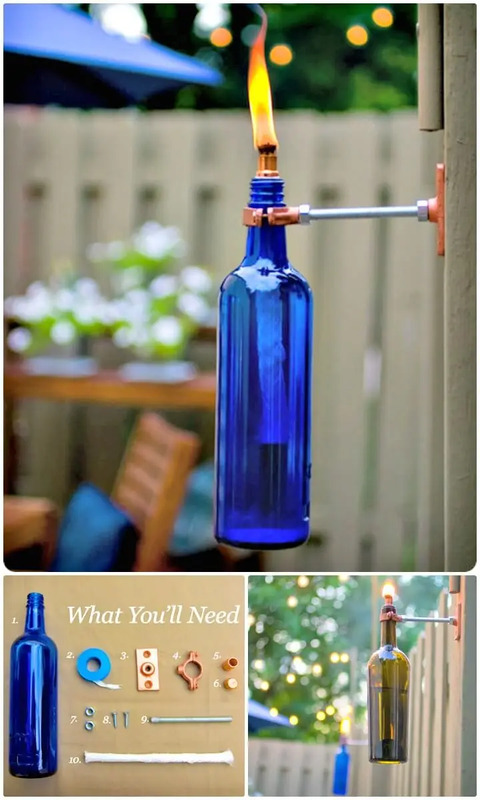 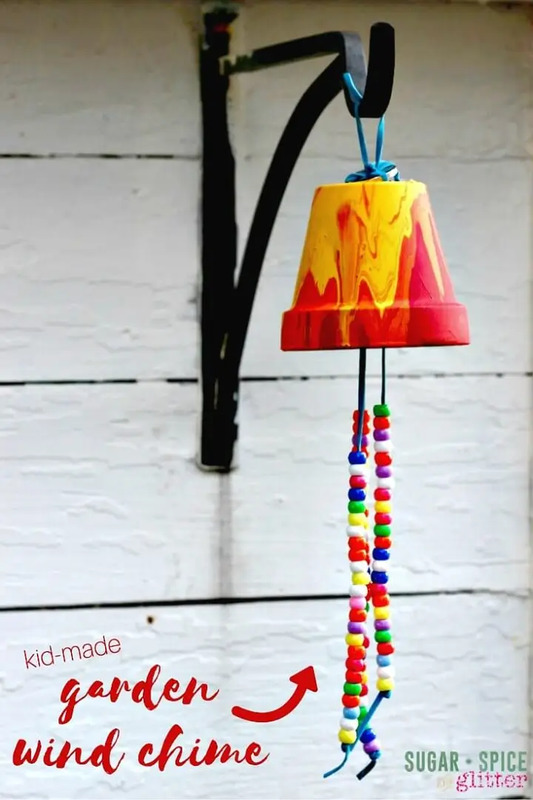 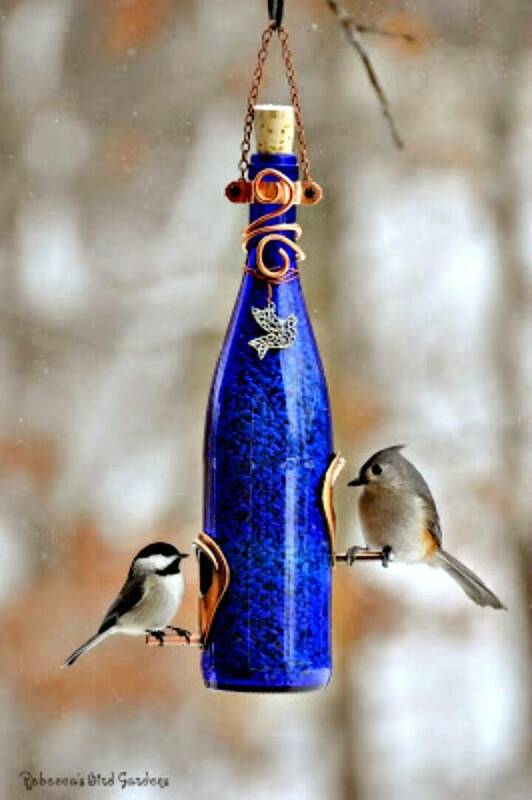 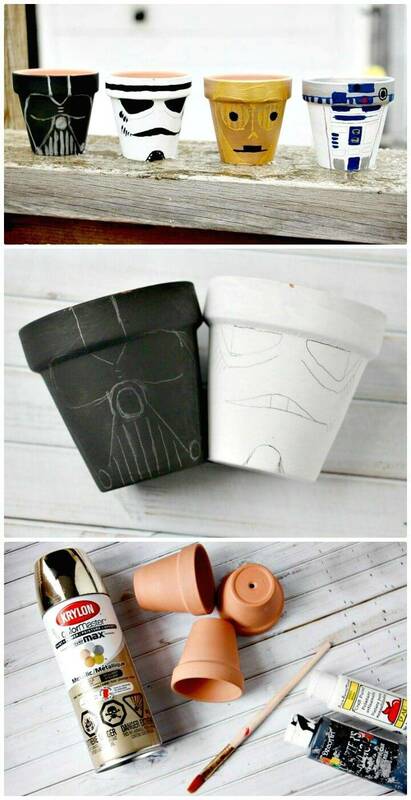 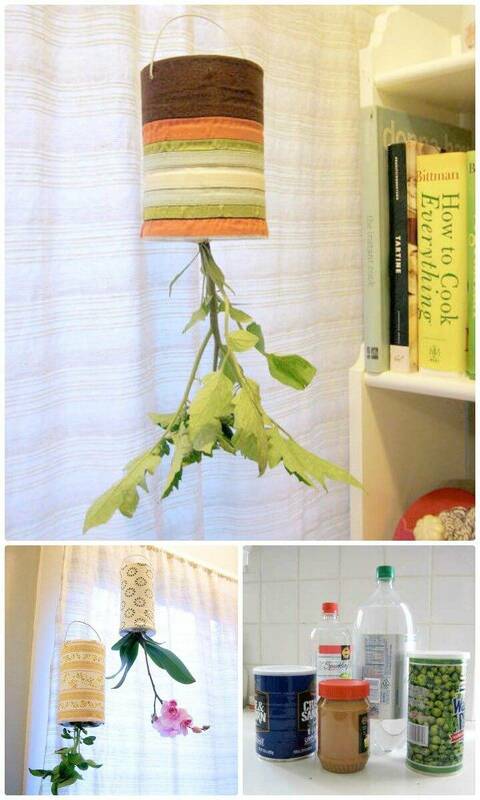 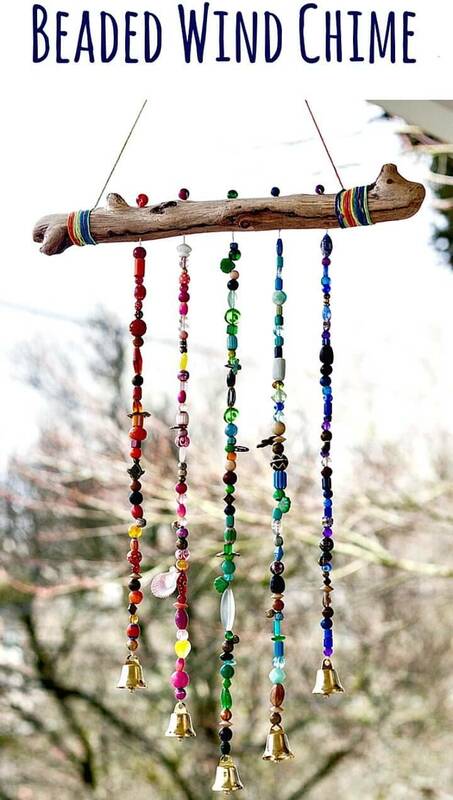 Just make the adorable tiki torches using recycled bottles and torch fuel, also make the glow in the dark garden planters and also make the hanging light globes for your garden, check out some enchanting and amazingly creative samples given below in the list that are just breath-taking! 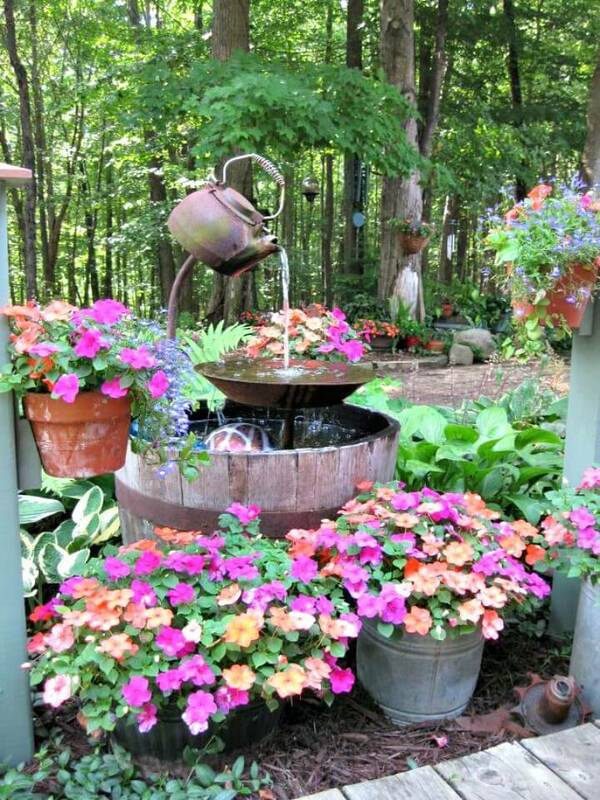 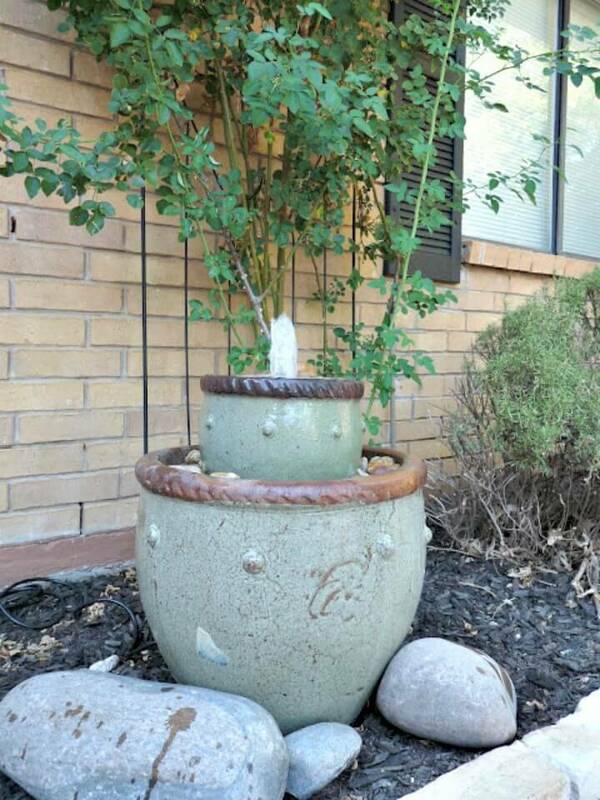 Moreover, create a perfect look of your garden by installing accent ponds and raised spiral beds and also raise the aesthetic appeal of your garden by painting the garden pots in several different characters and fun shapes, check out here given marbled and star war garden pots that are brilliant examples in this case! 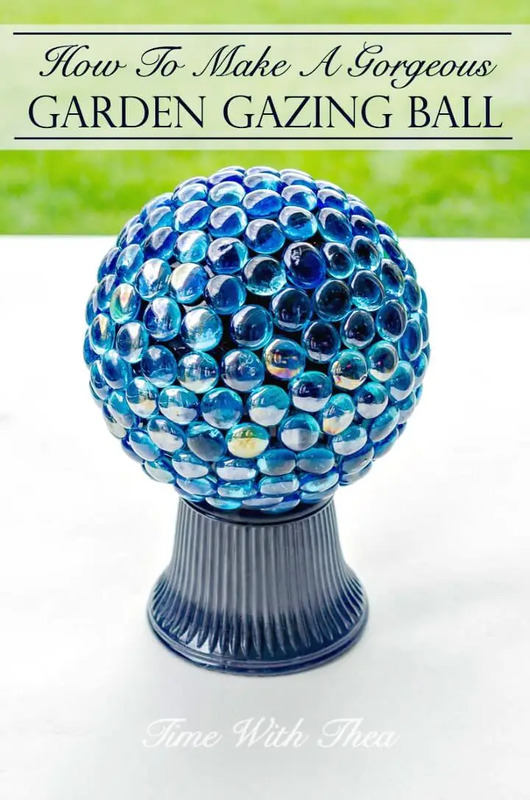 Next, you can also lift up the mood of your garden by installing amazing trellises and bring and turn also your green space into mini heaven by installing some fantastic birth baths and enchanting gazing garden ball decors! 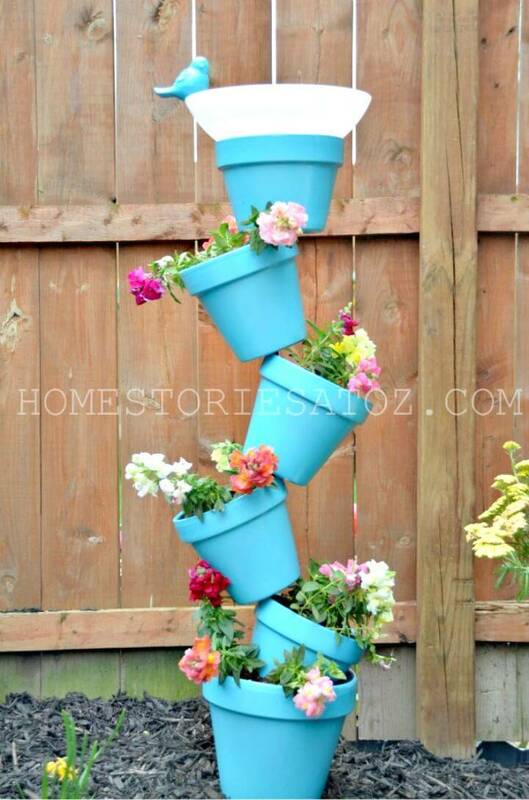 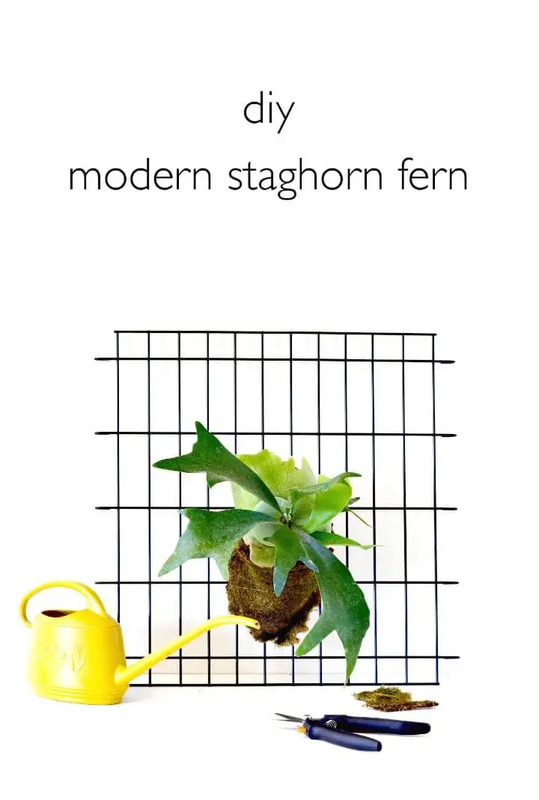 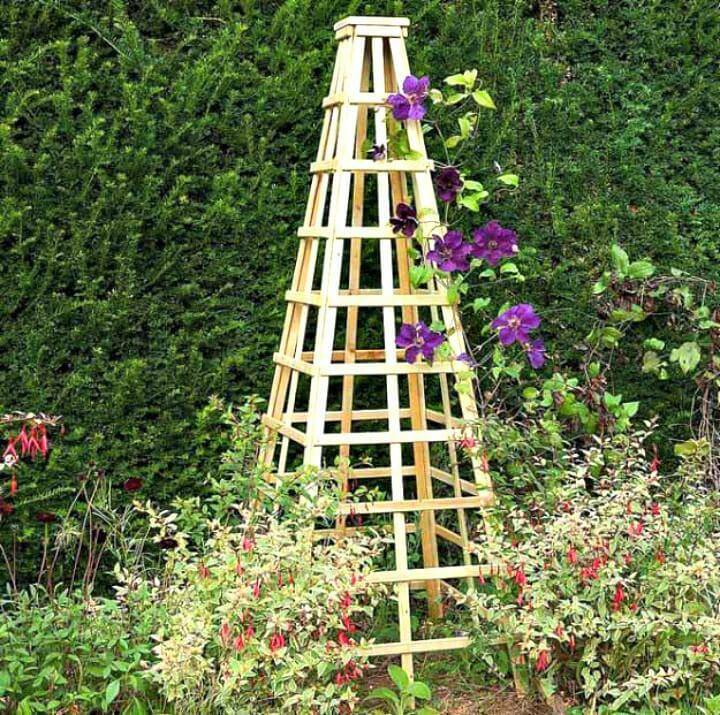 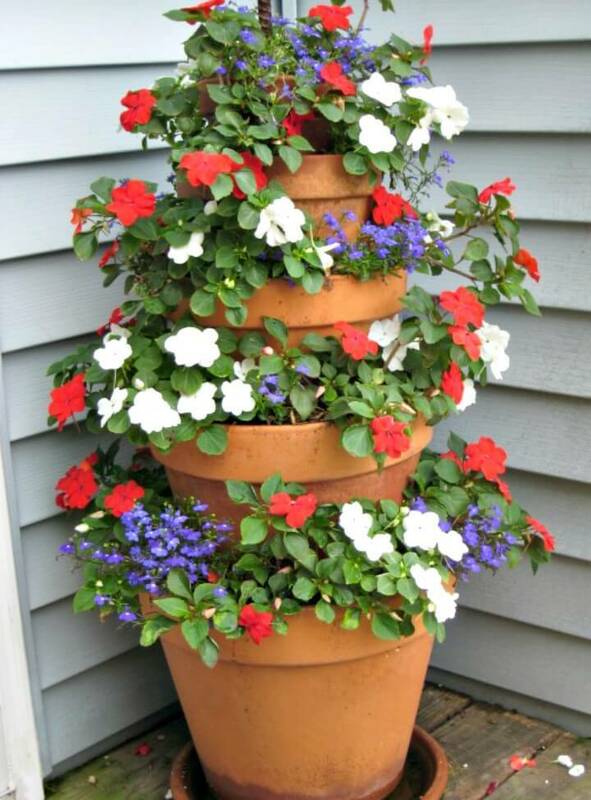 Furthermore, make your garden look beautiful also by installing precious topsy-turvy flower planters and also install also the hanging tin can gardens to garden fence wall to spruce up the garden decors! 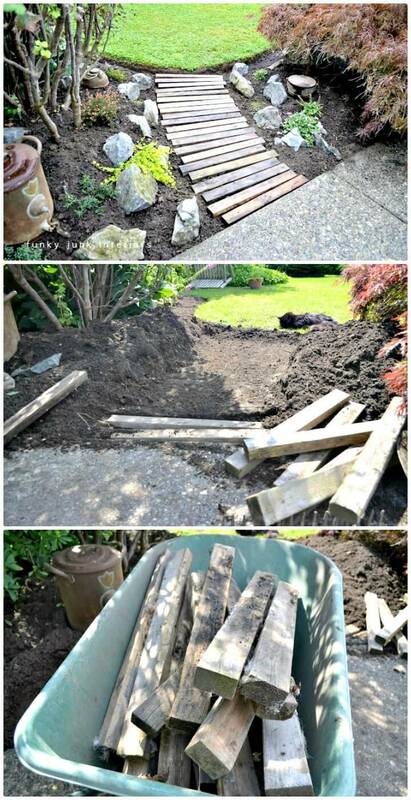 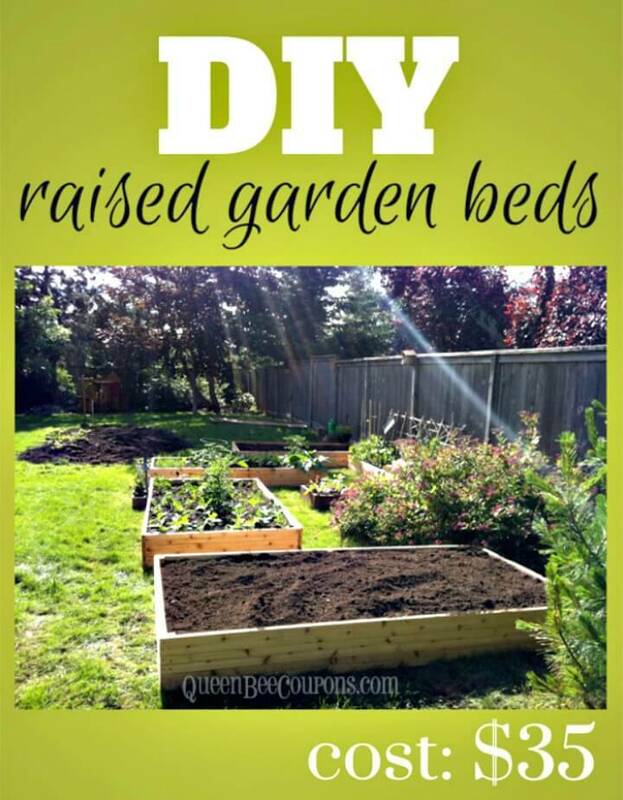 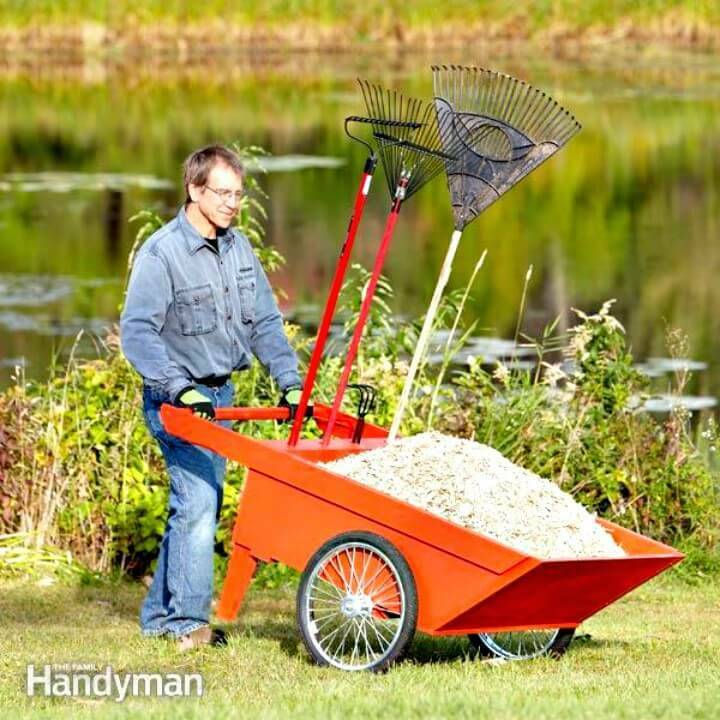 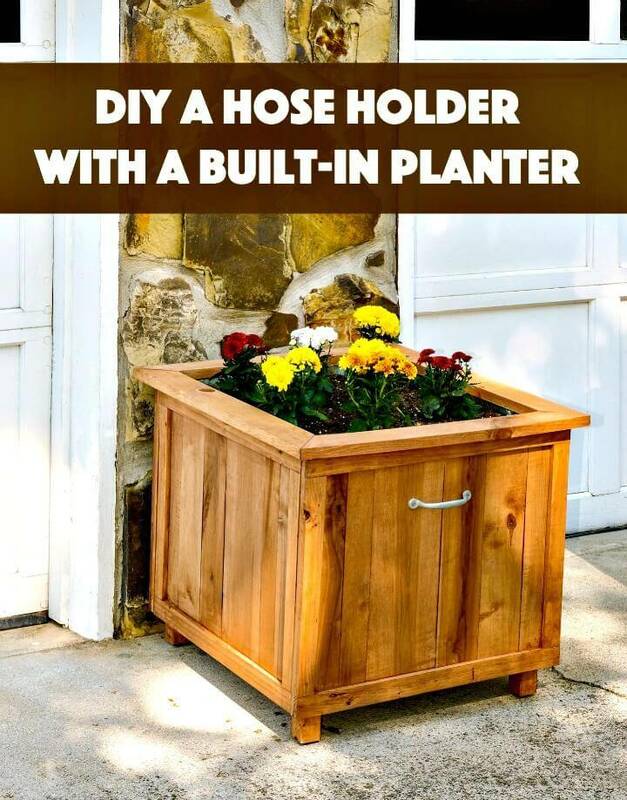 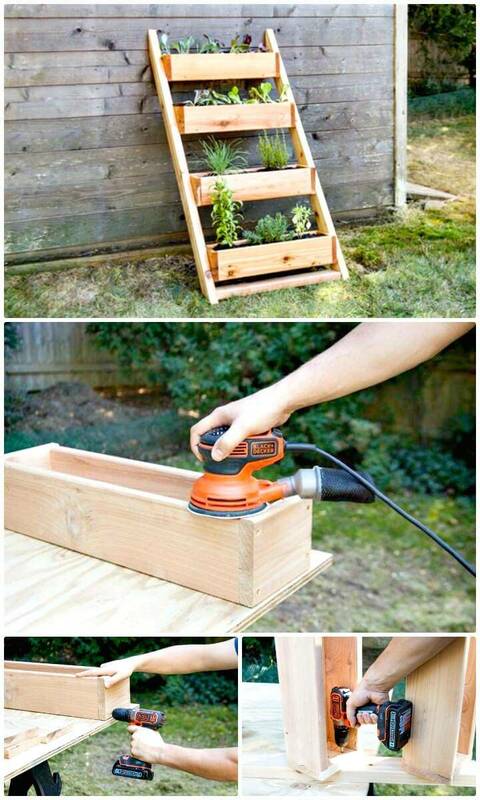 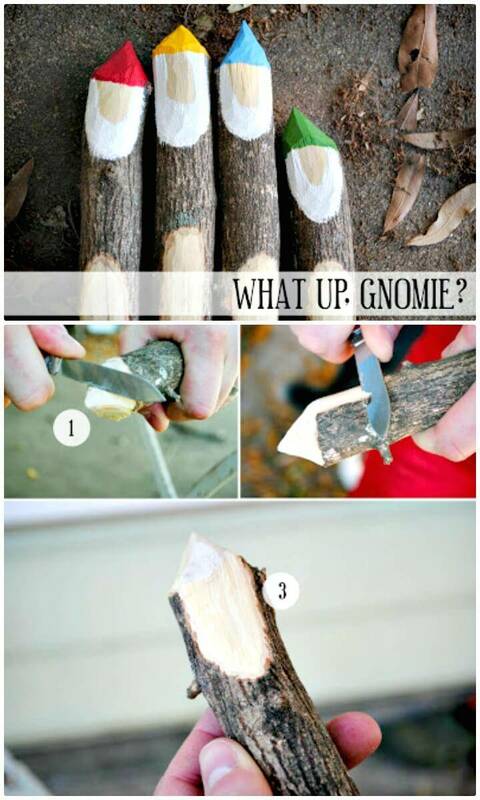 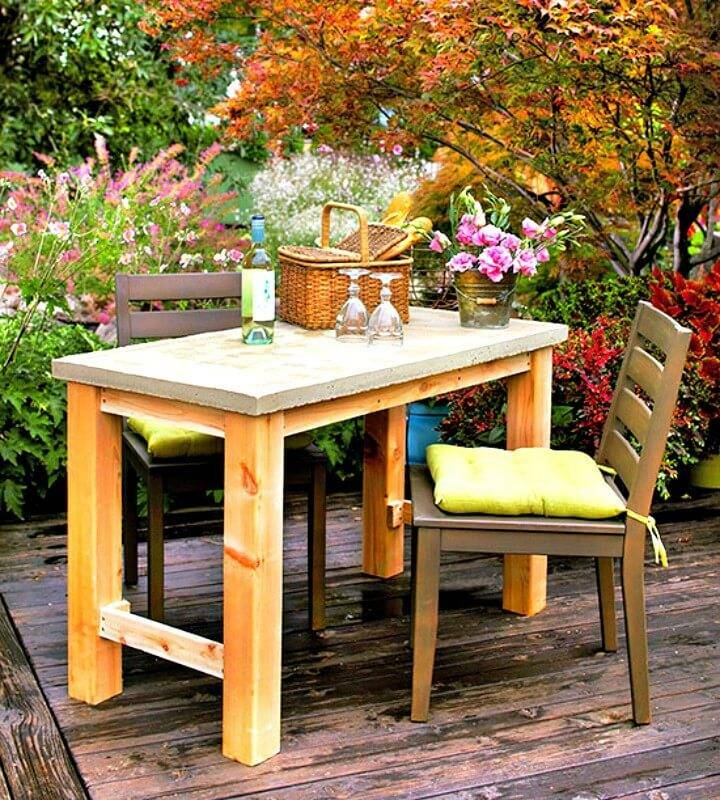 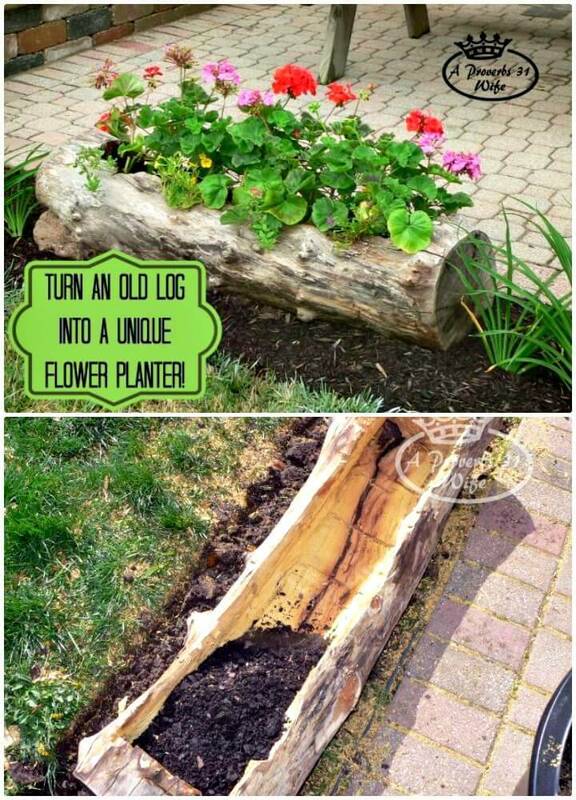 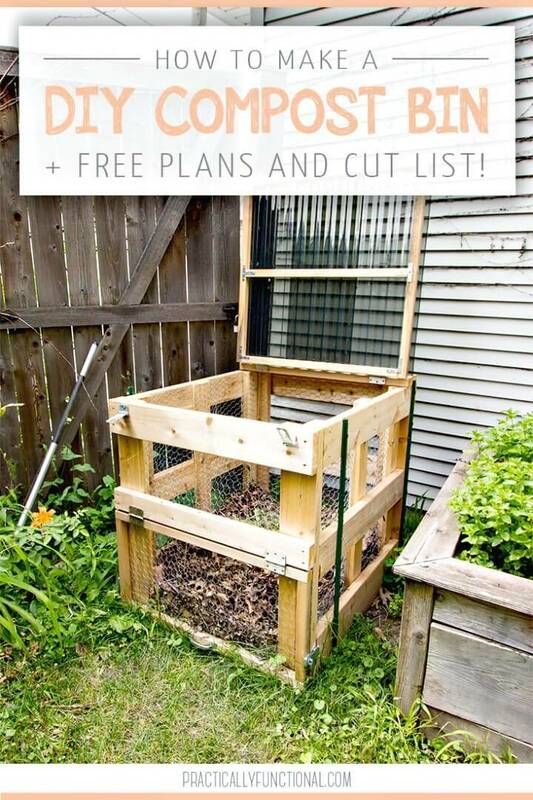 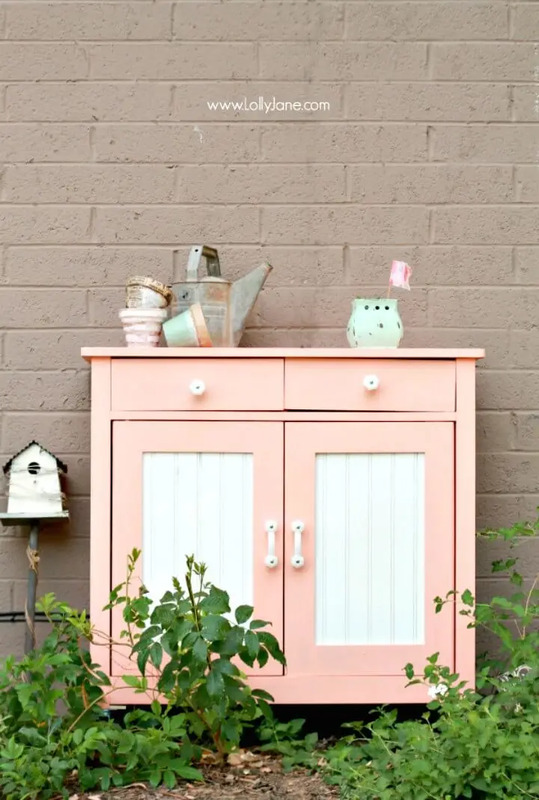 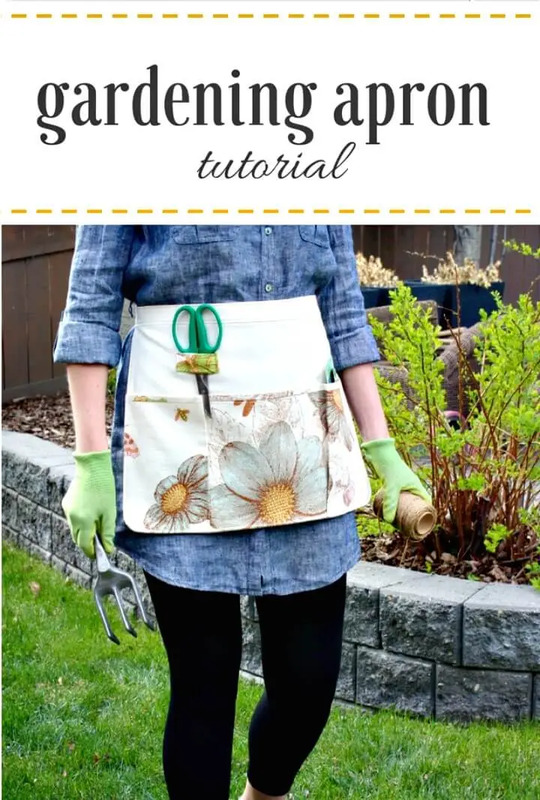 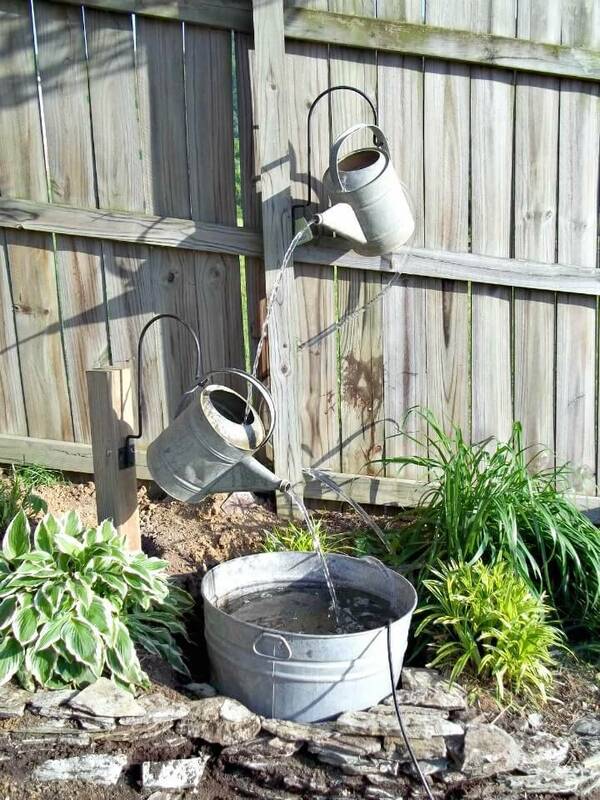 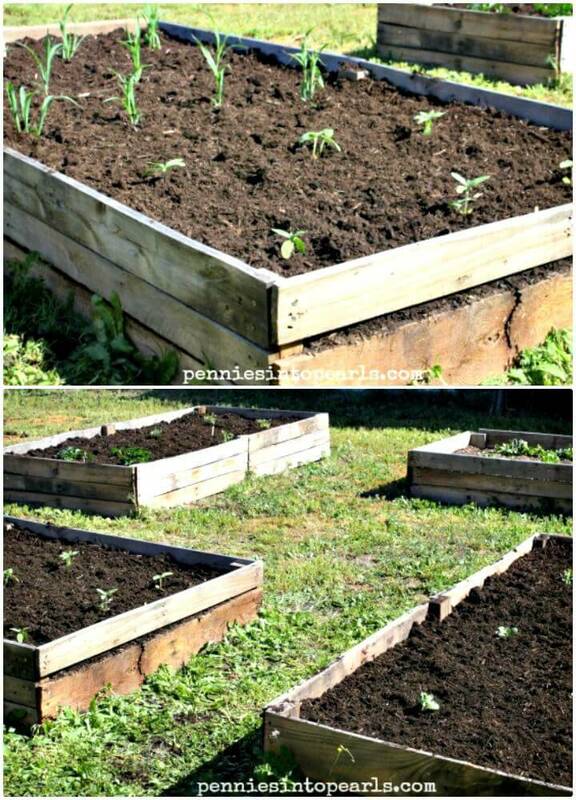 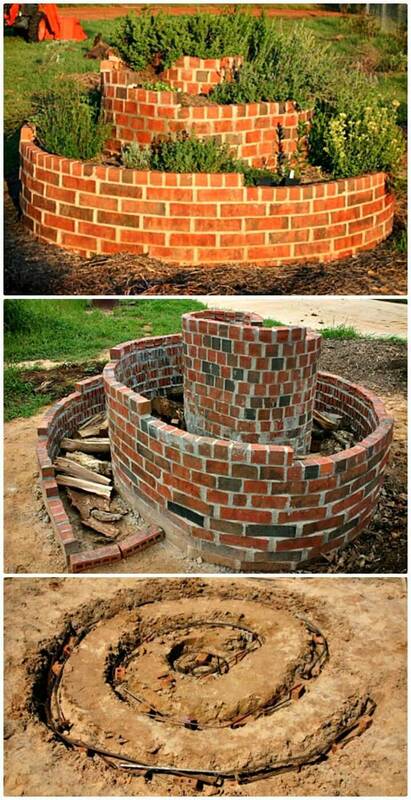 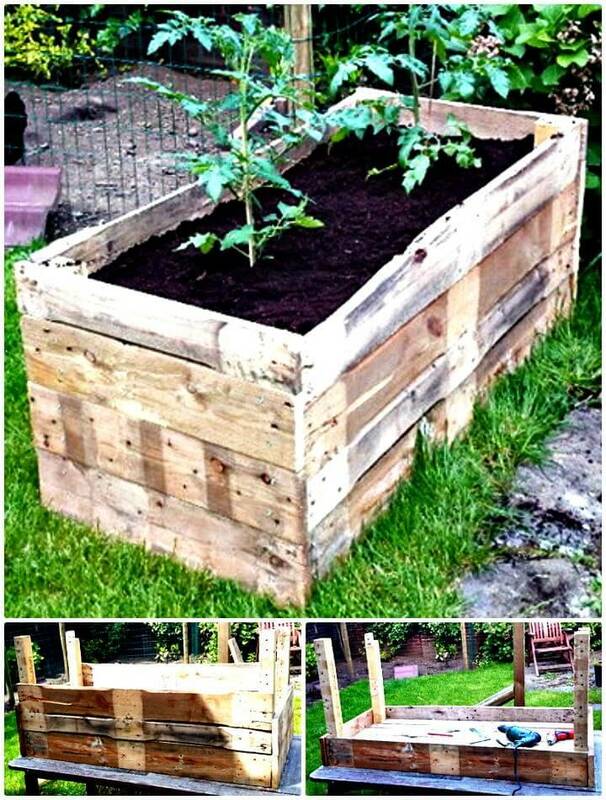 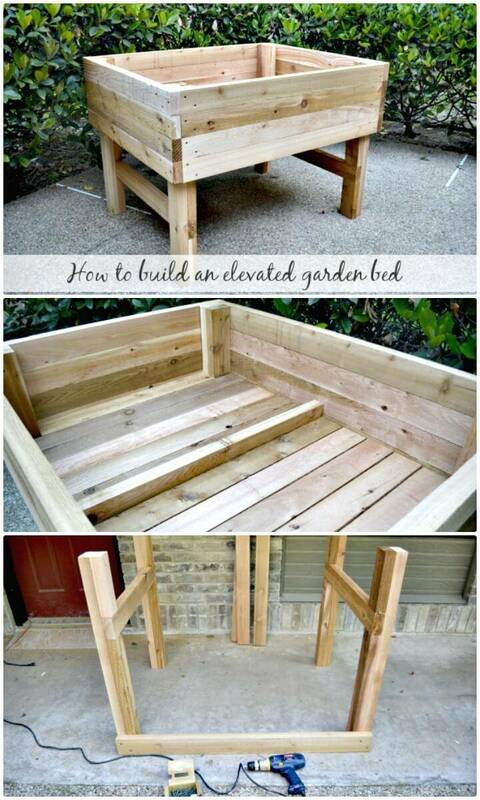 Check out dozens of more DIY Garden projects given below in the list and just visit also the respective pasted links to grab the full free guides, tutorials, and visual instructions!